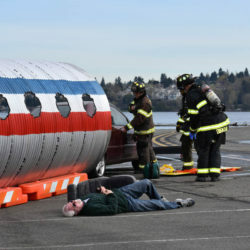 What’s going on at the airport? 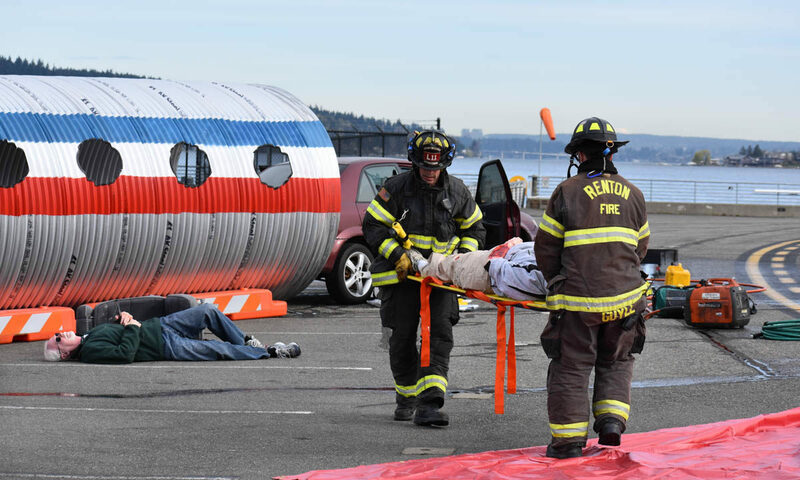 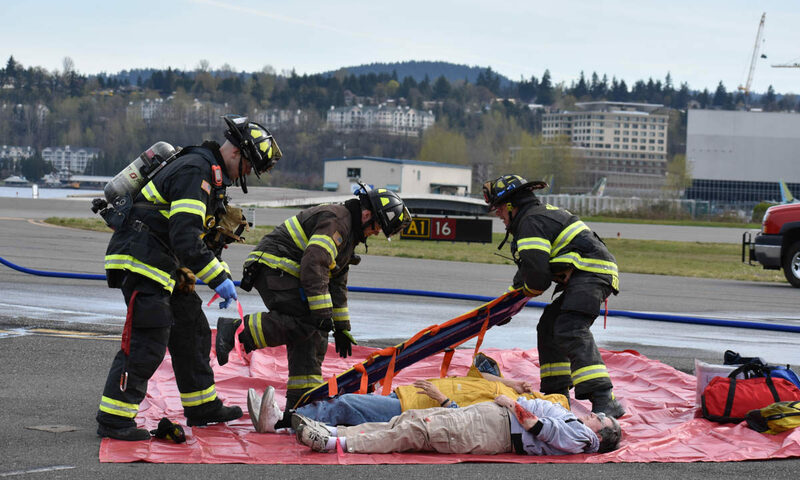 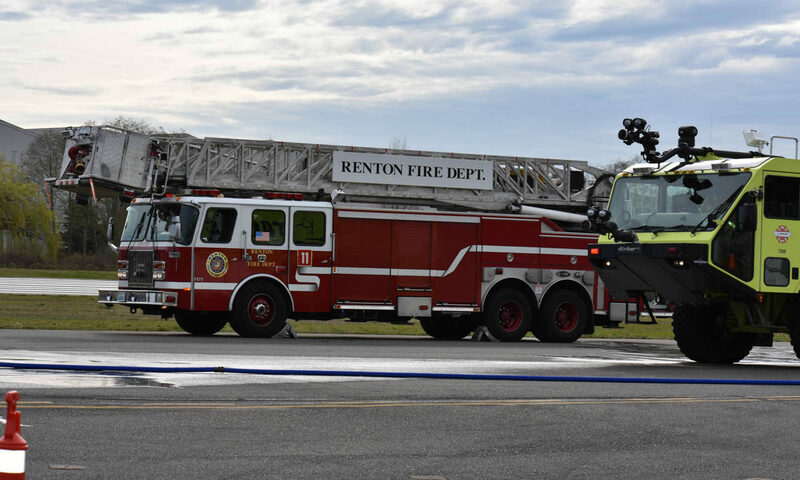 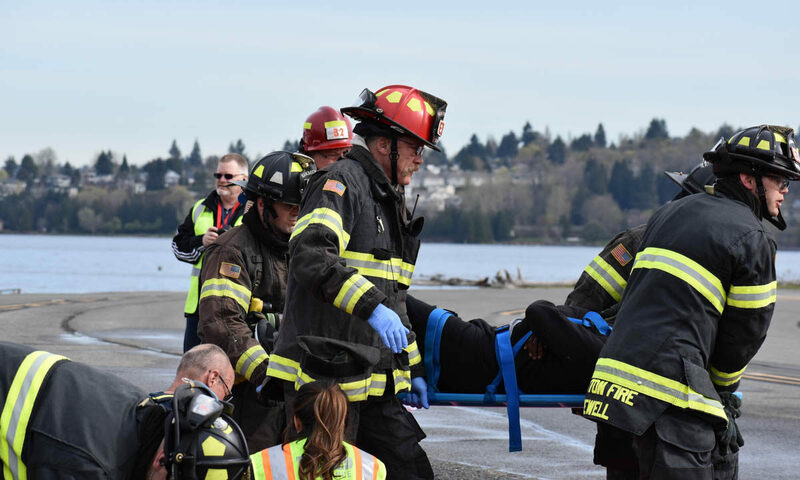 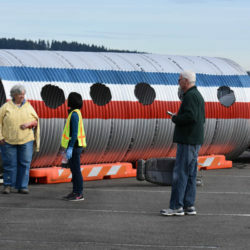 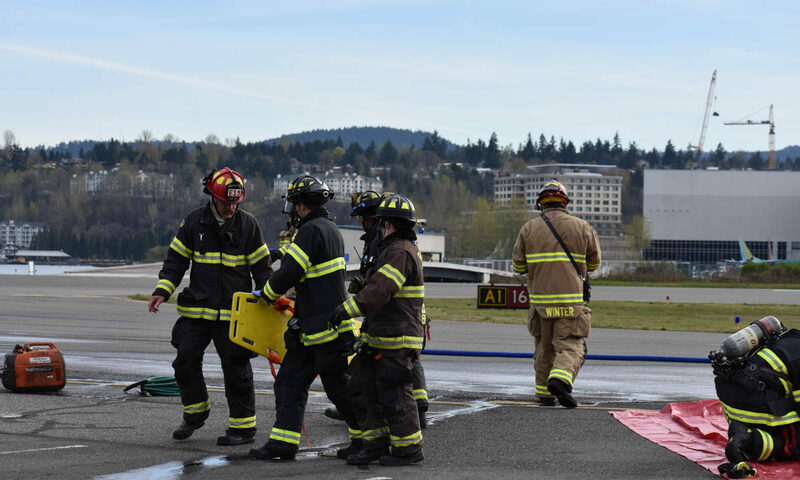 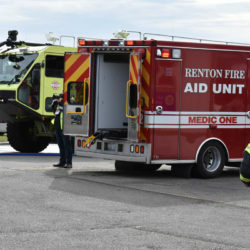 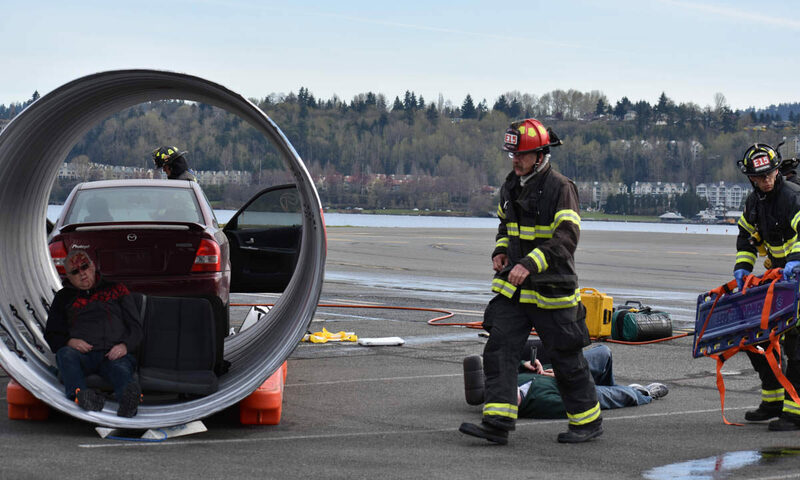 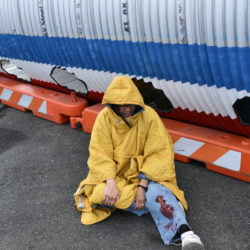 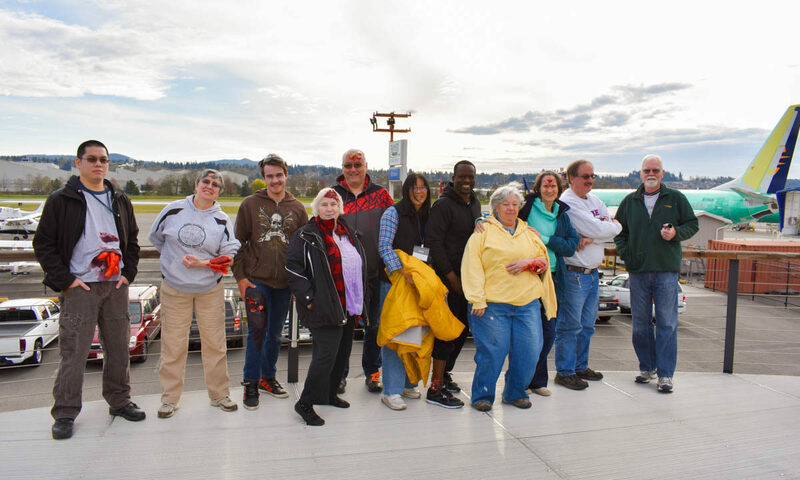 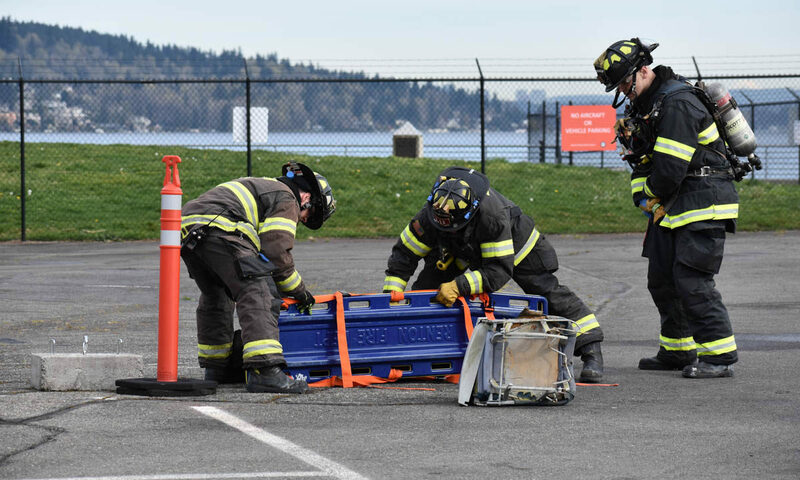 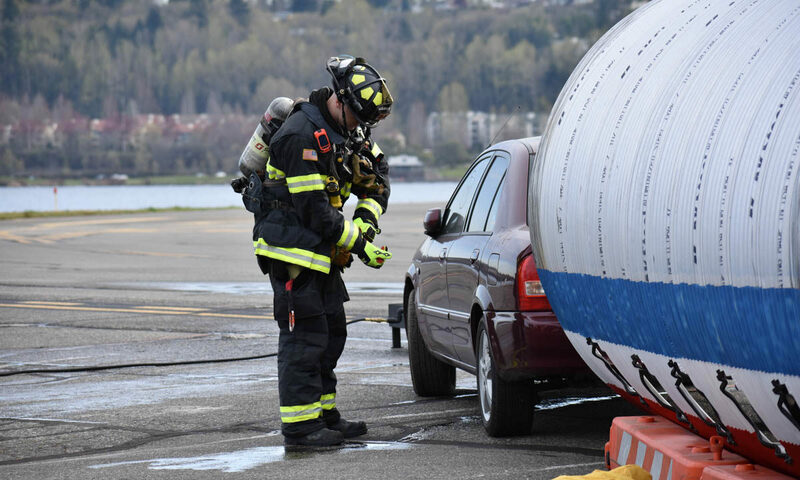 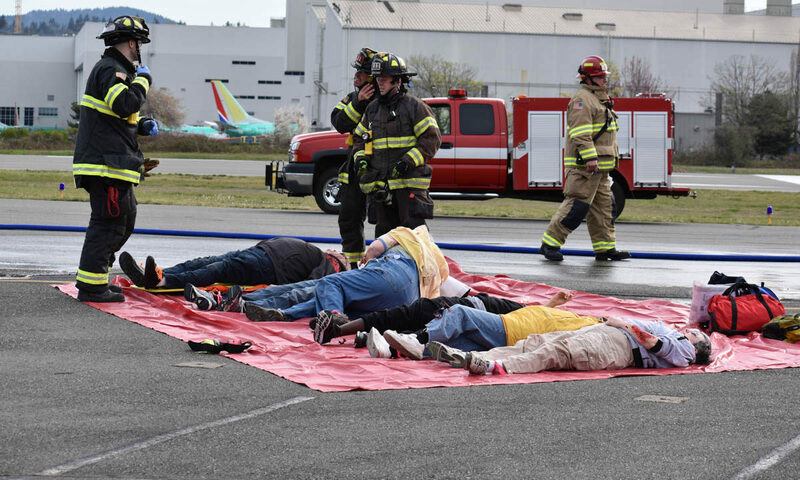 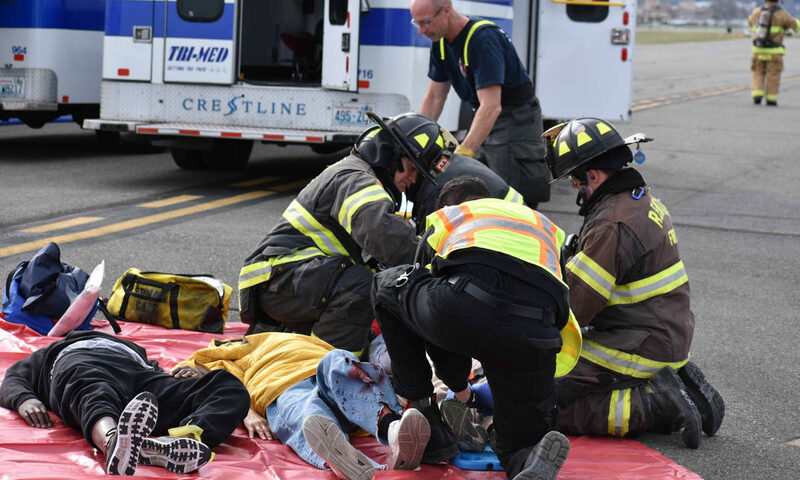 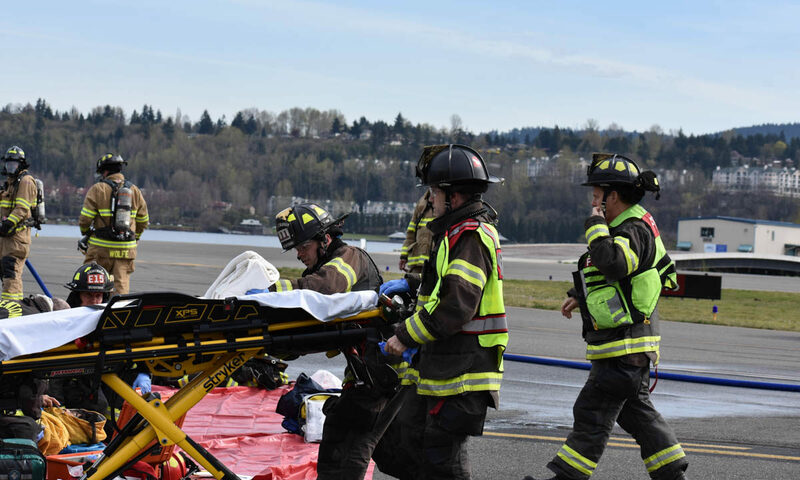 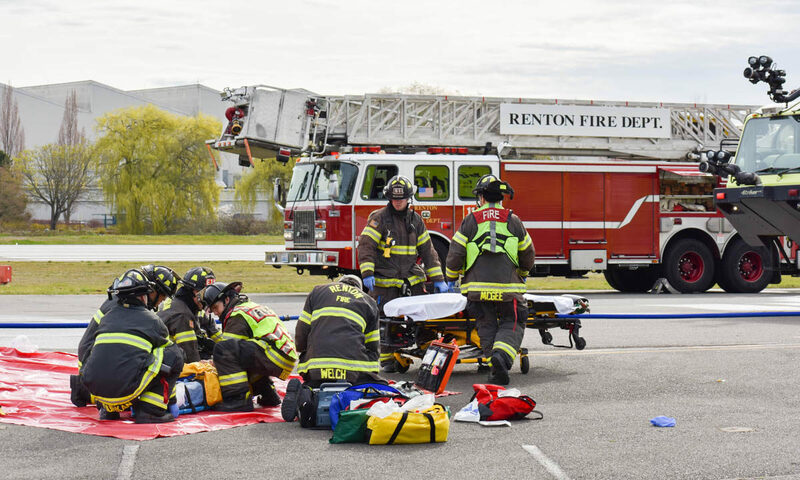 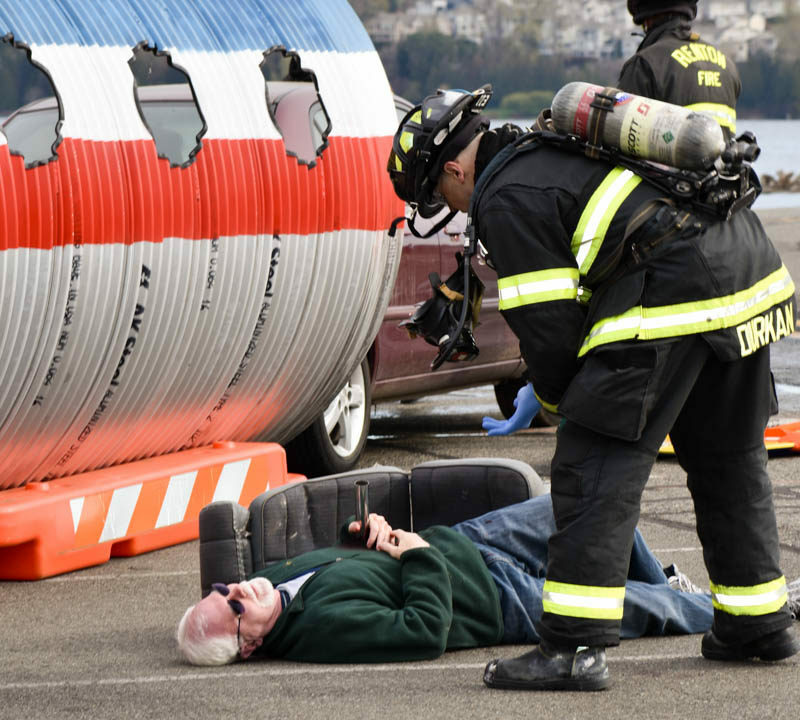 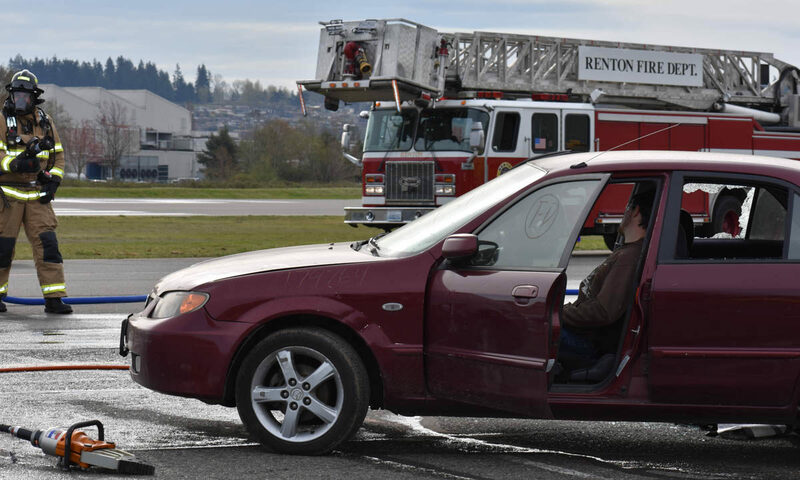 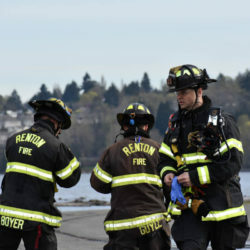 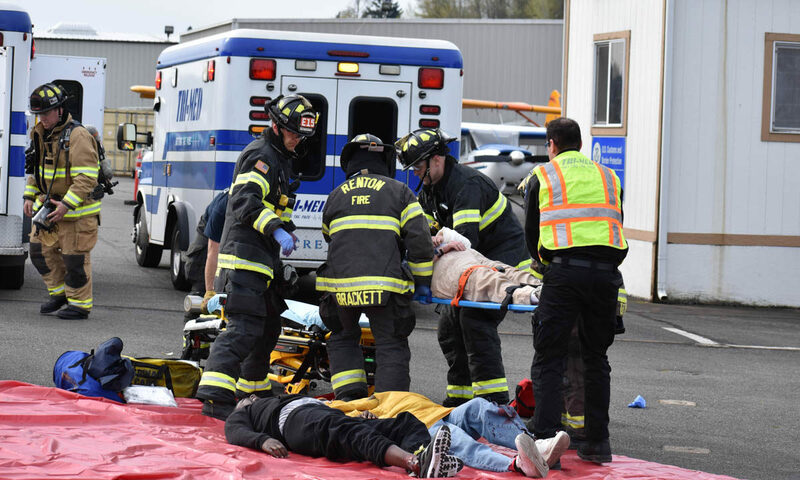 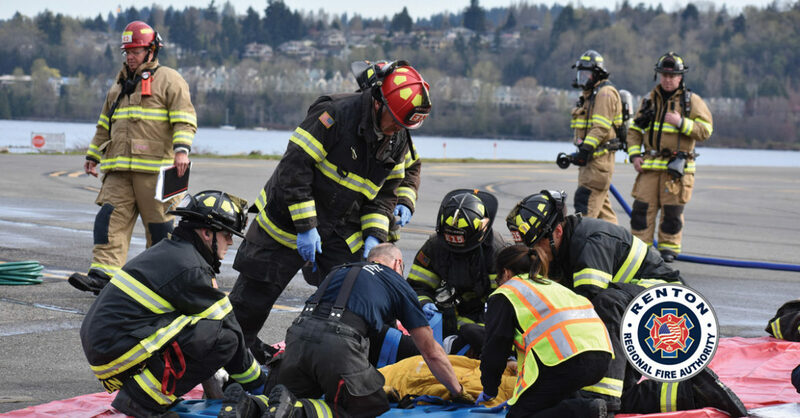 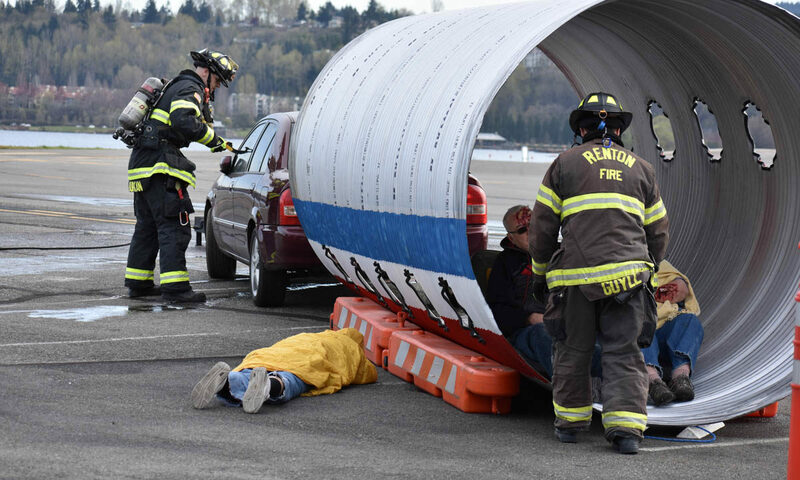 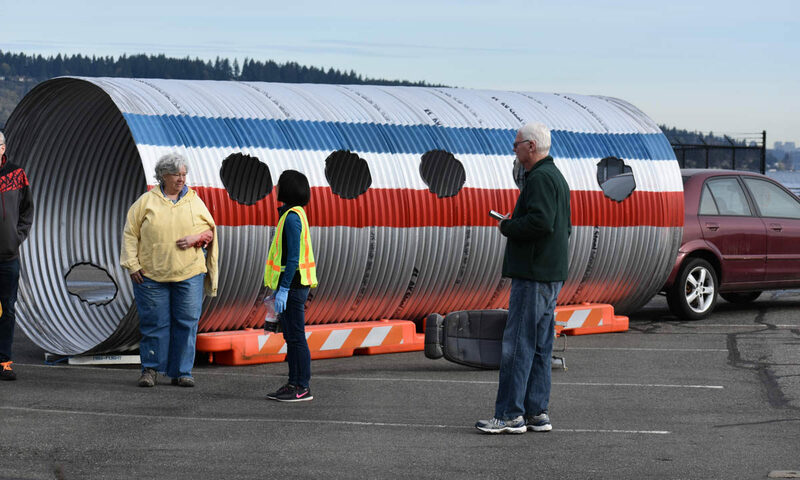 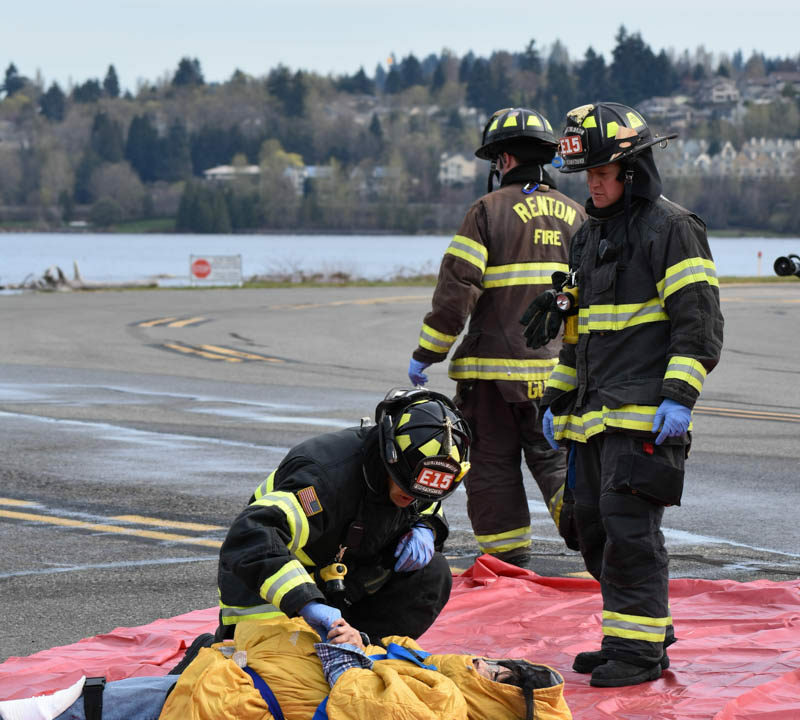 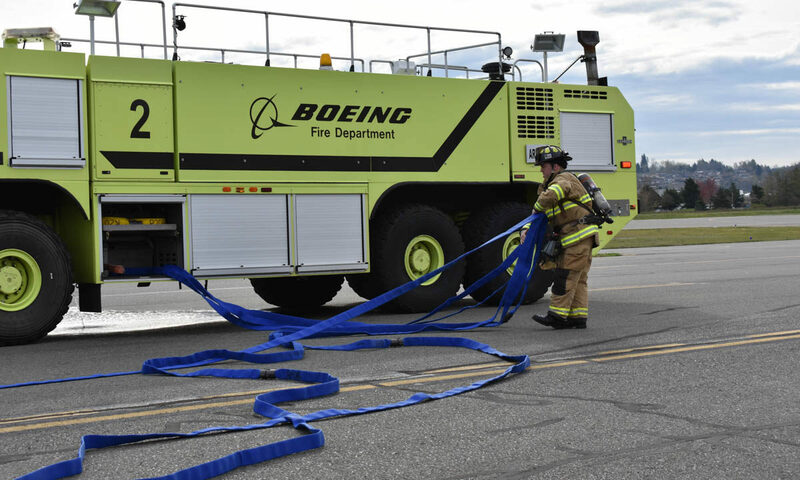 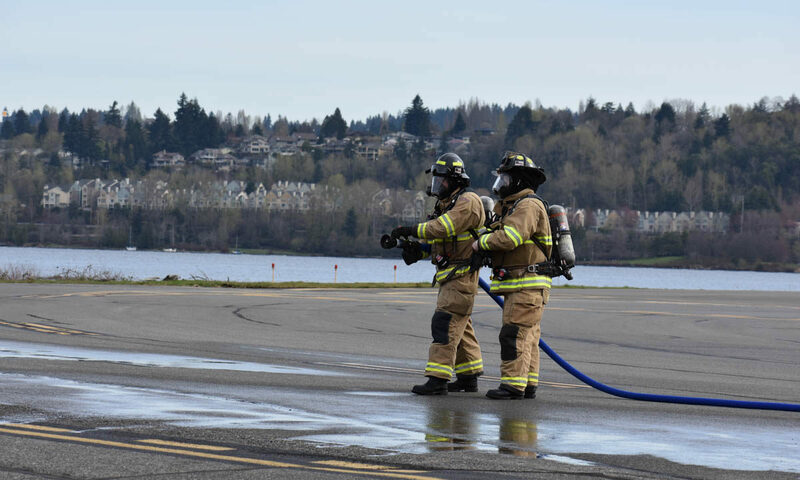 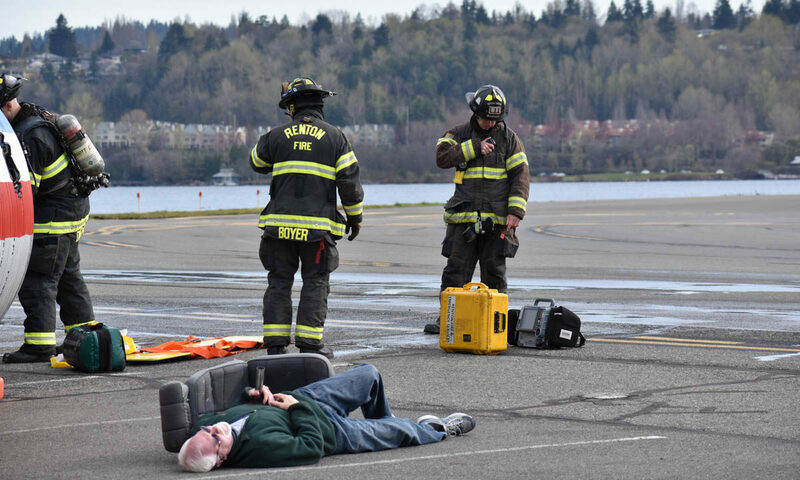 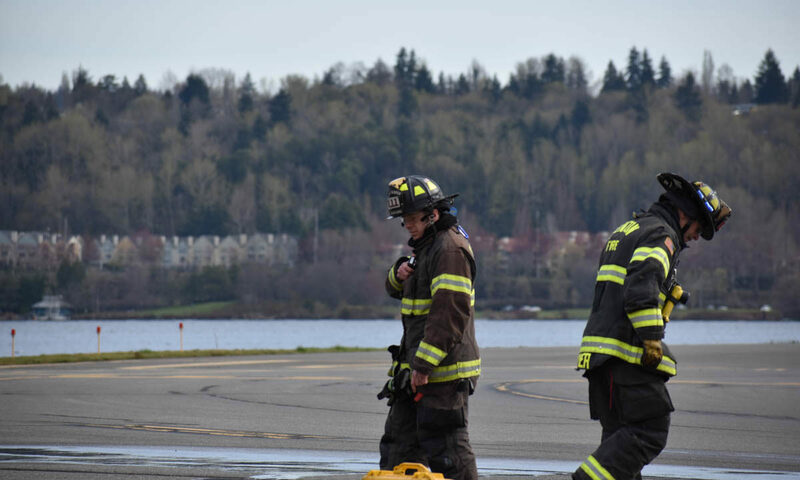 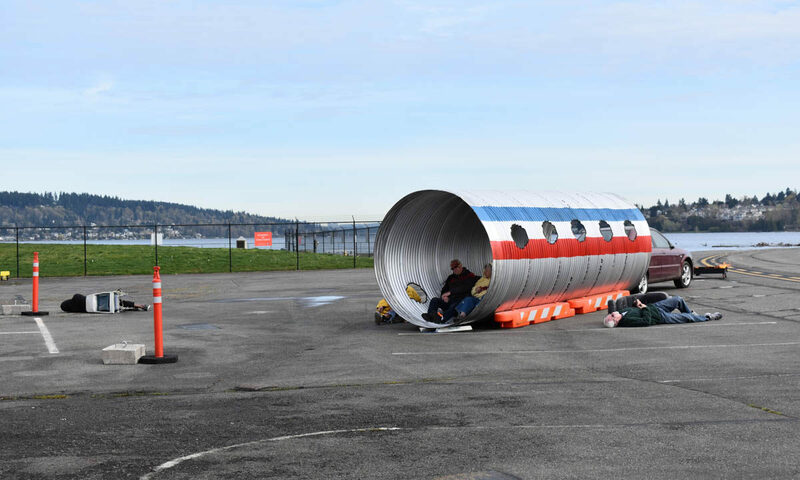 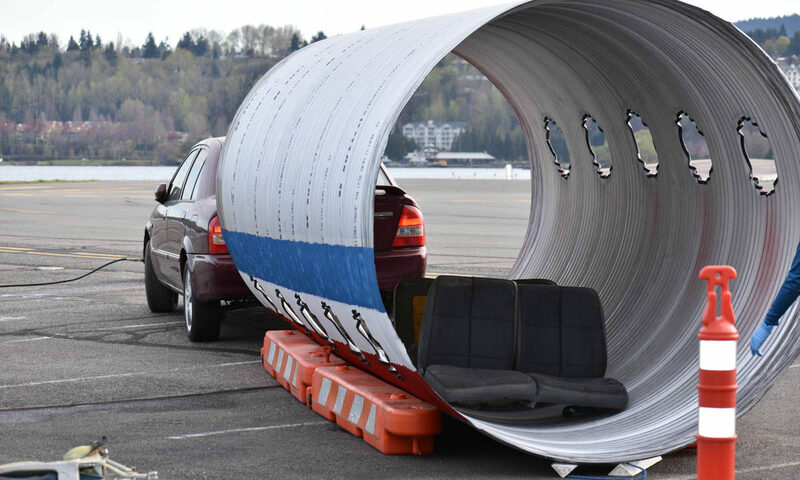 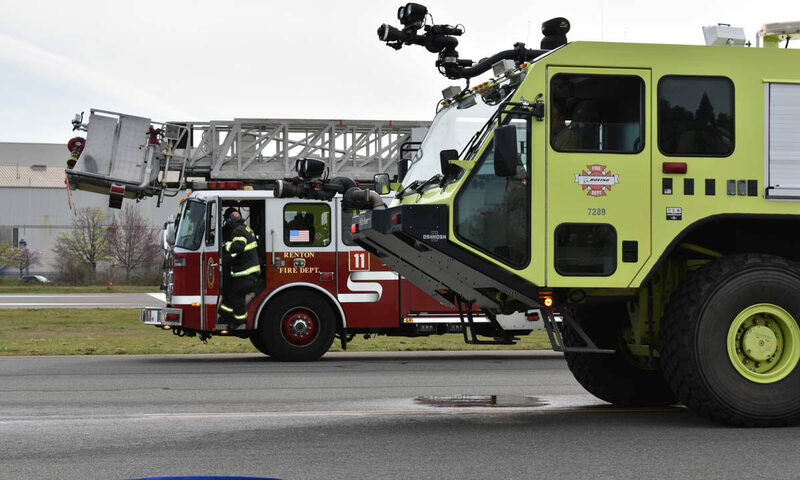 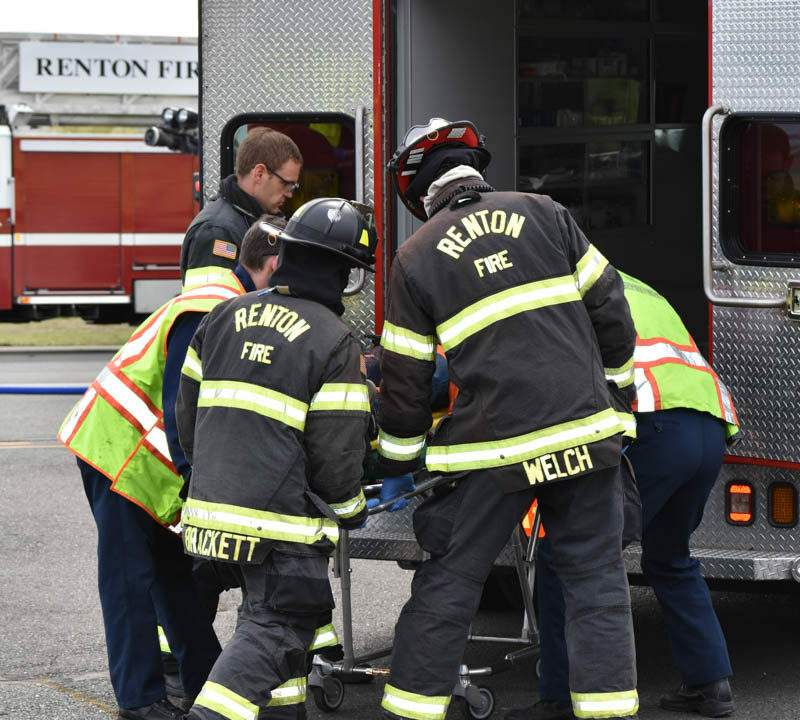 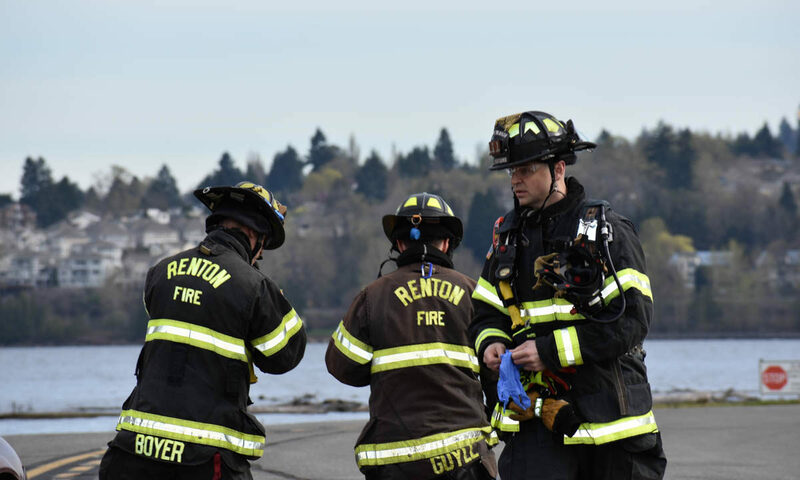 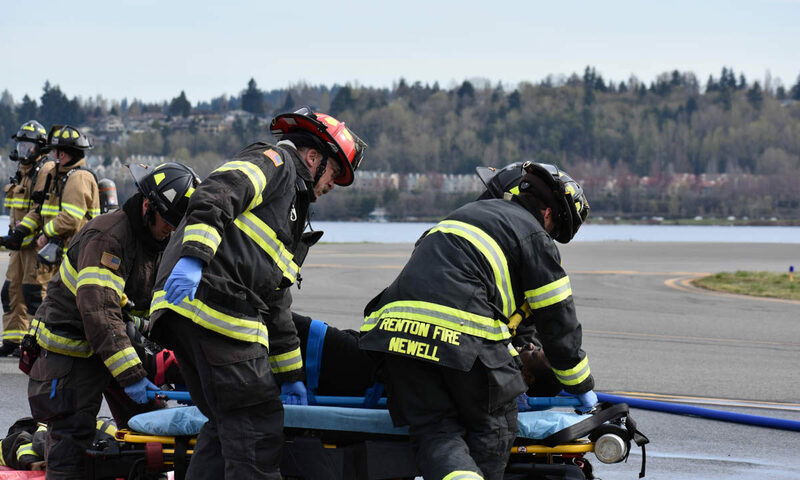 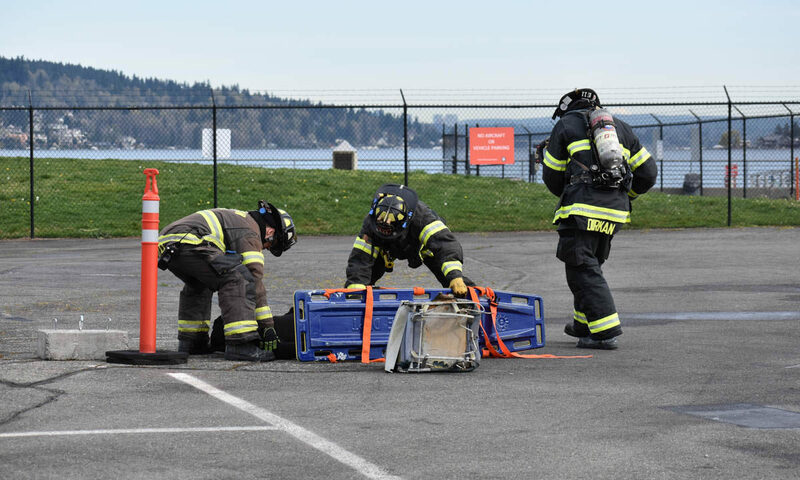 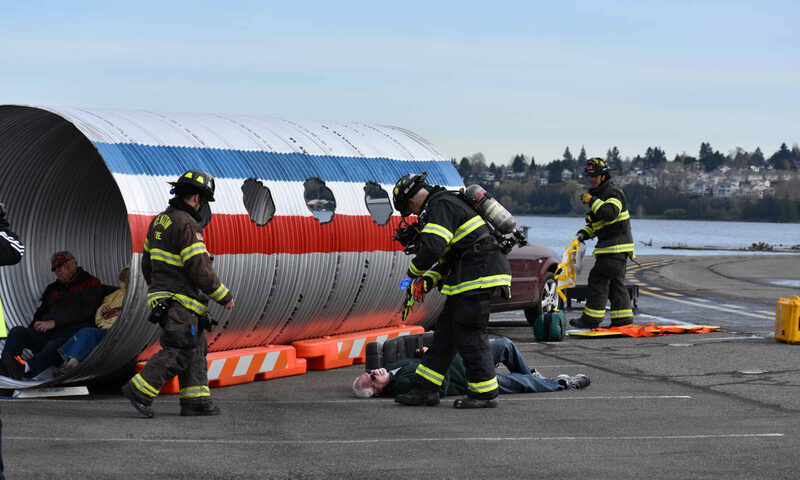 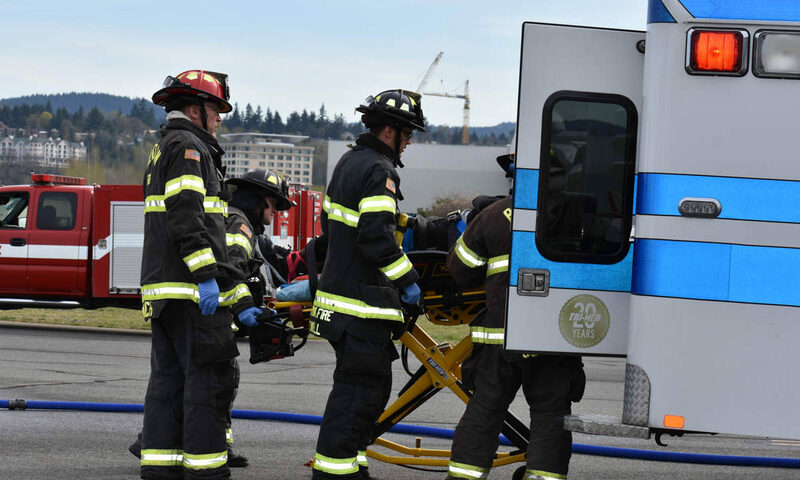 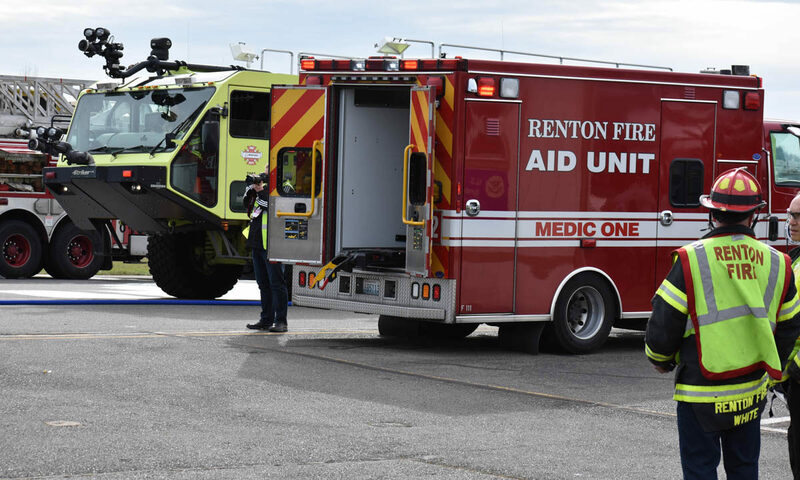 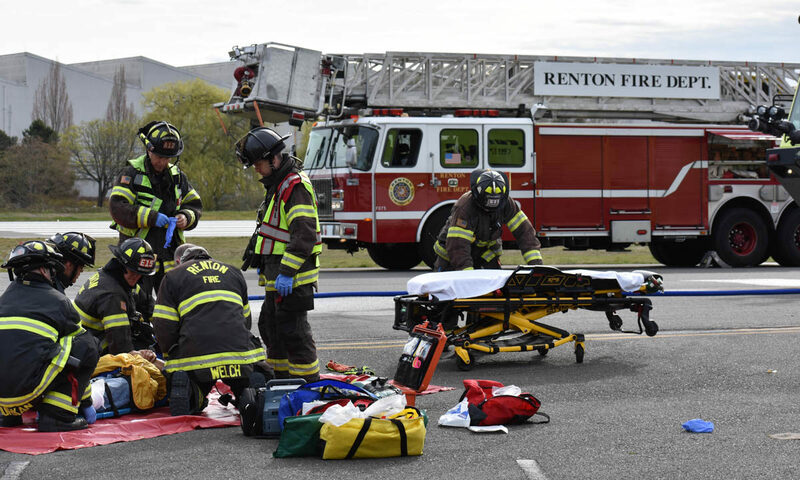 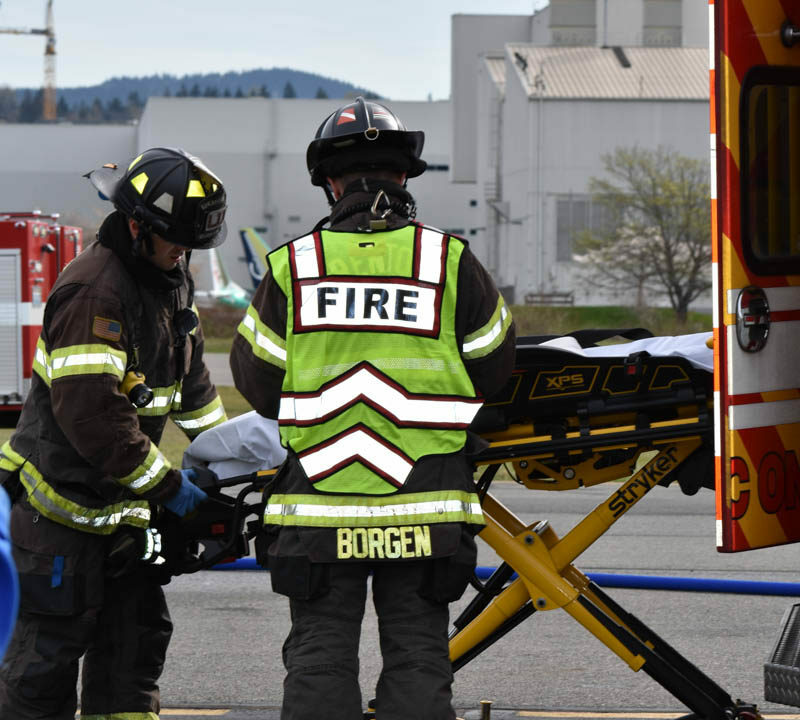 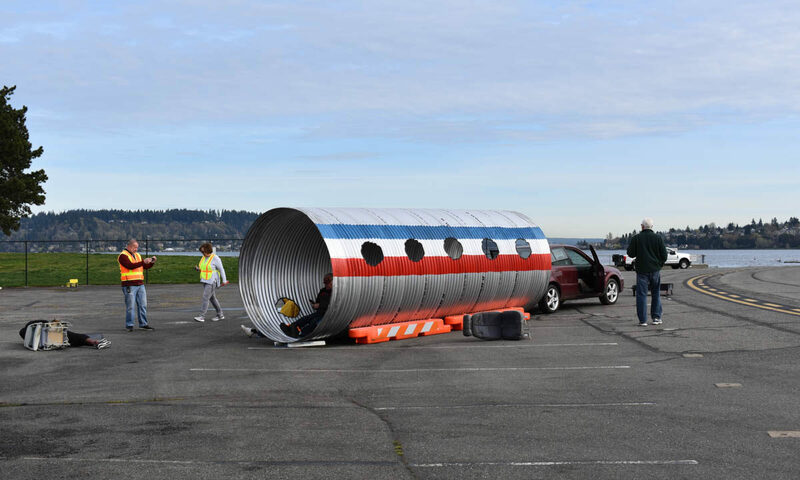 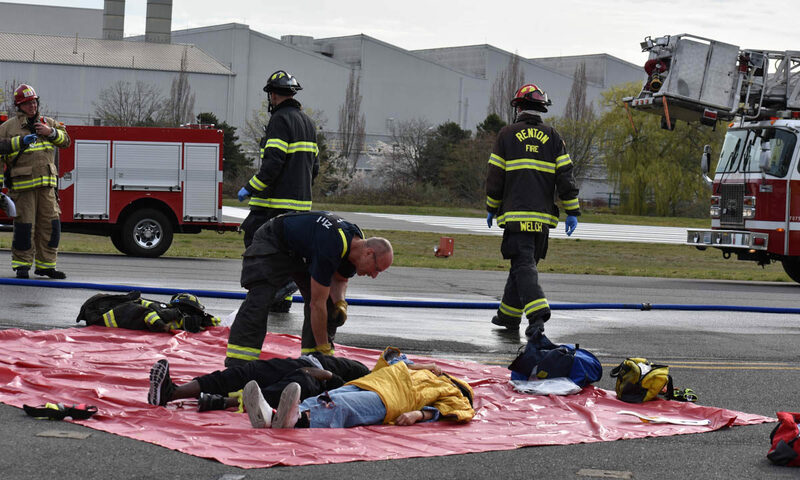 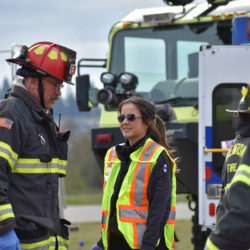 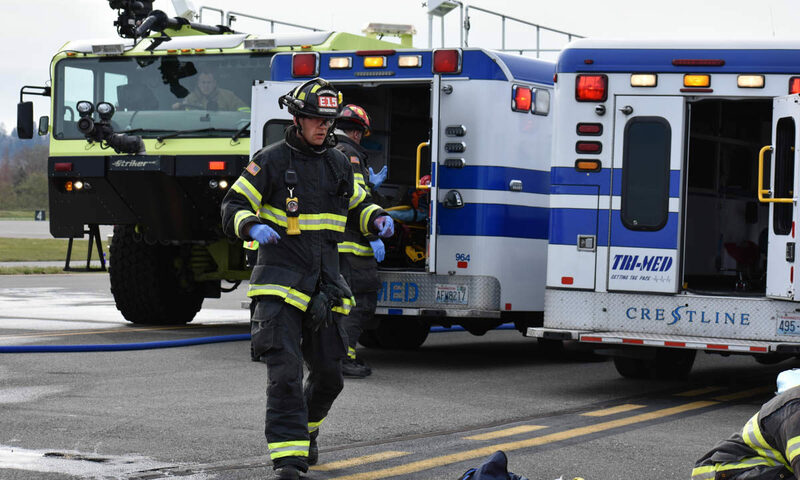 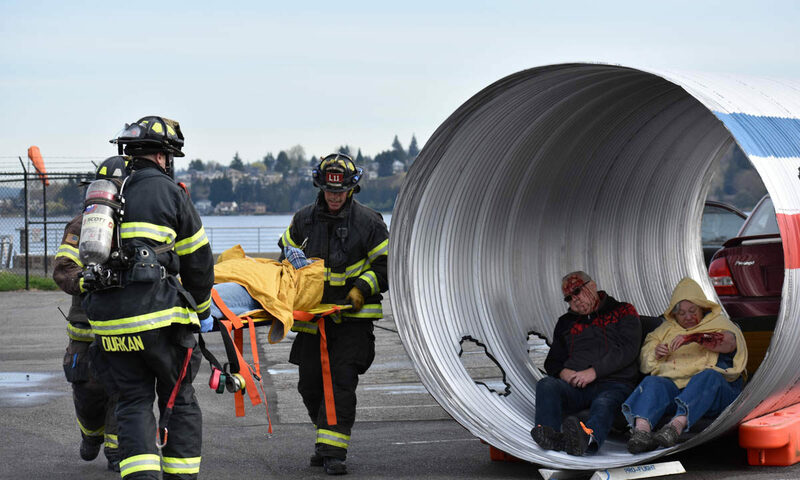 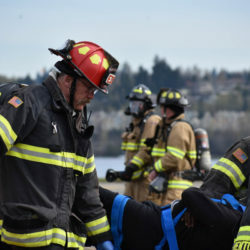 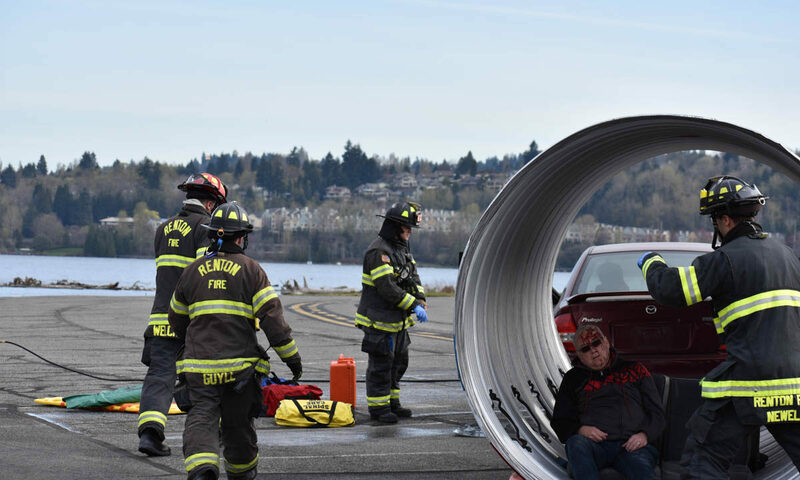 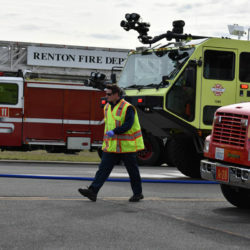 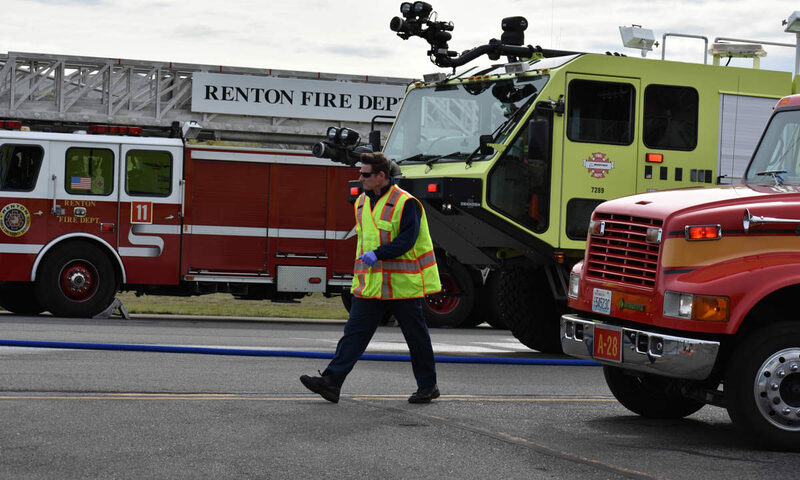 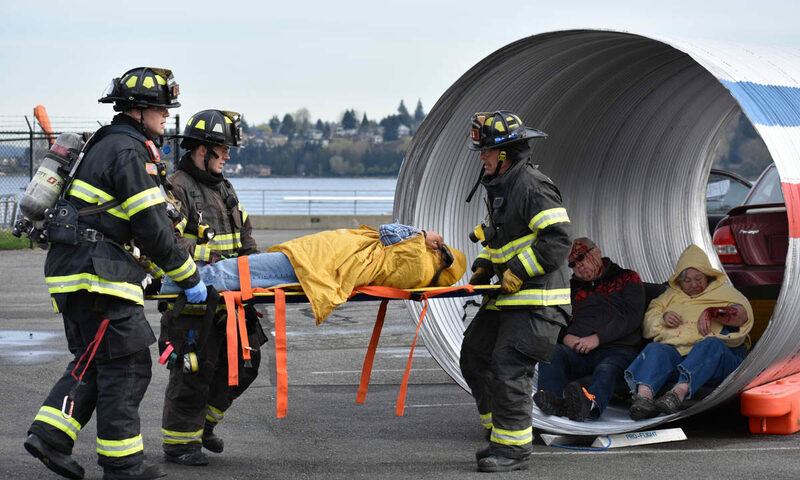 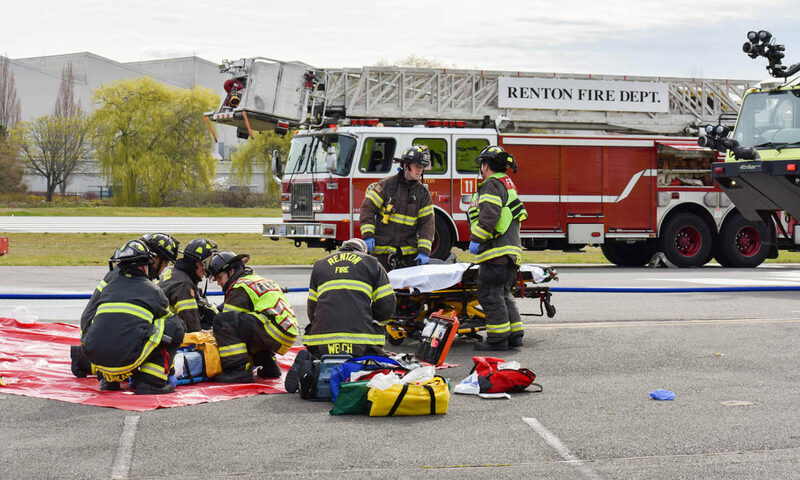 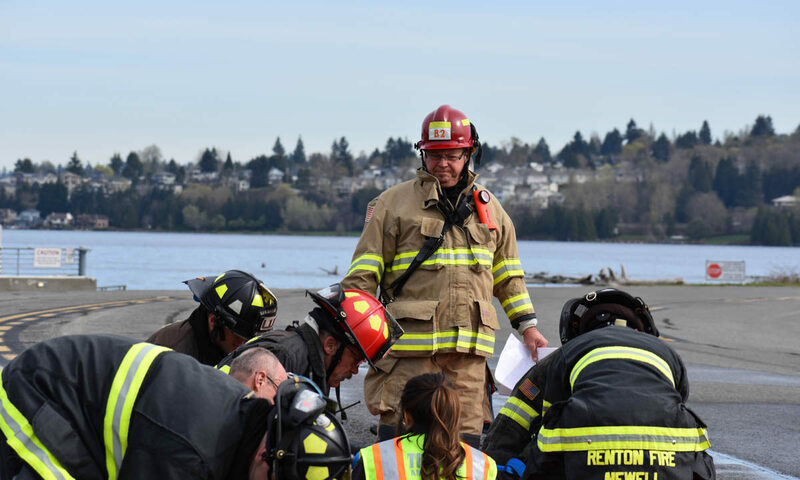 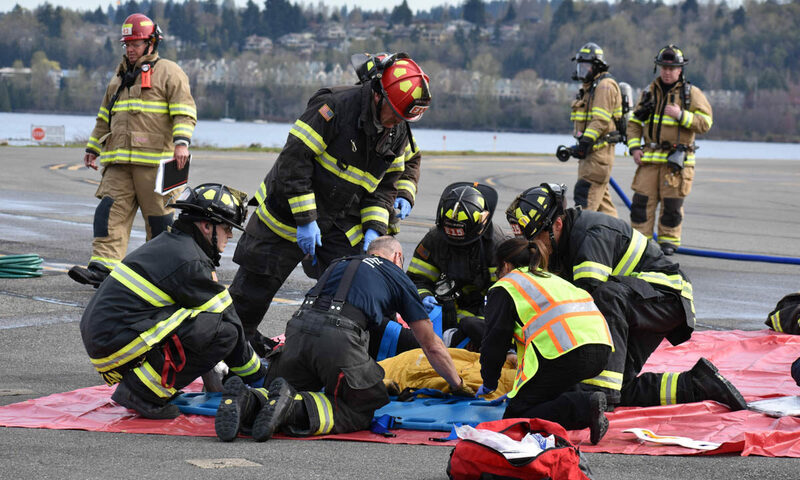 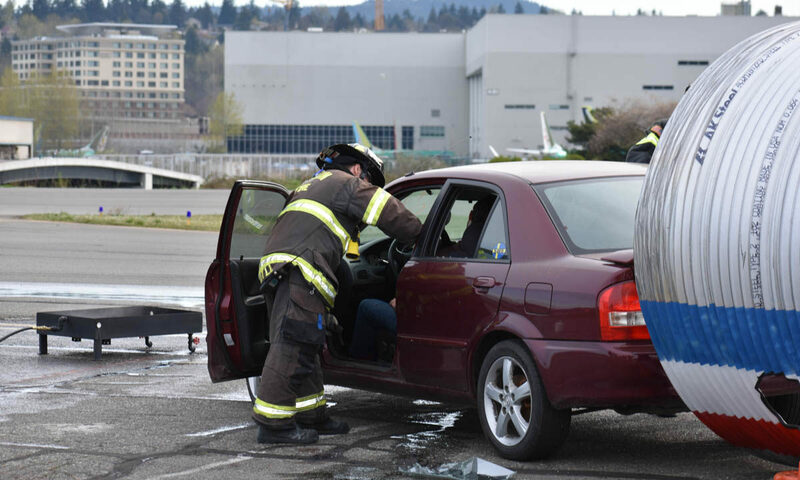 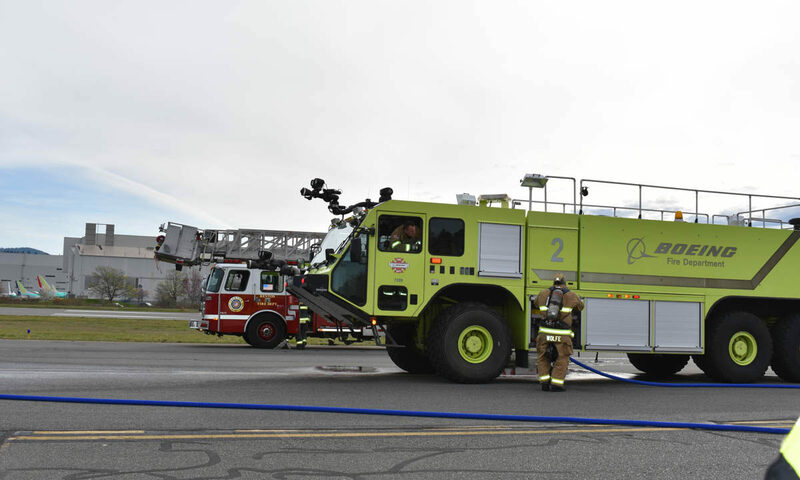 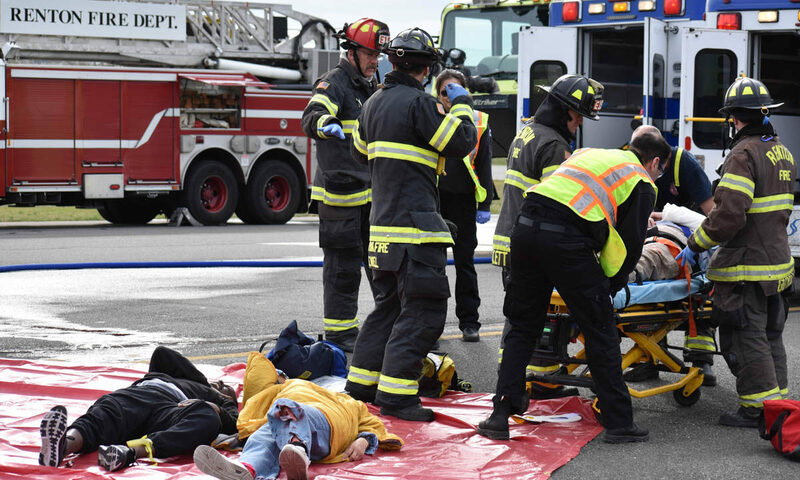 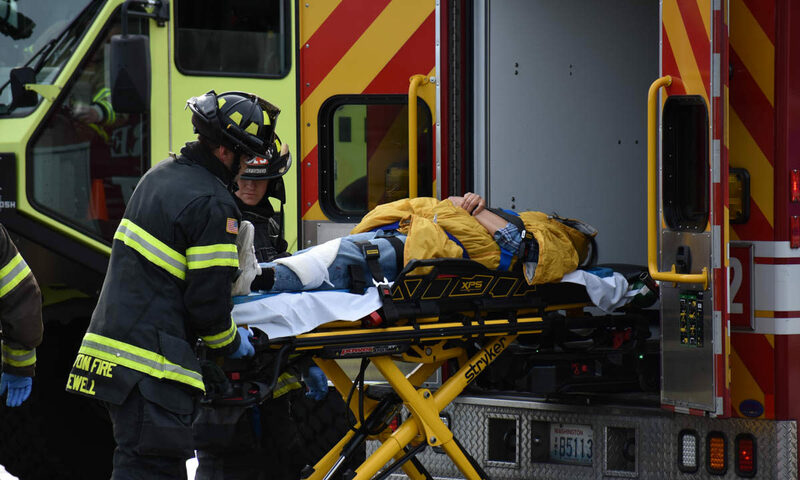 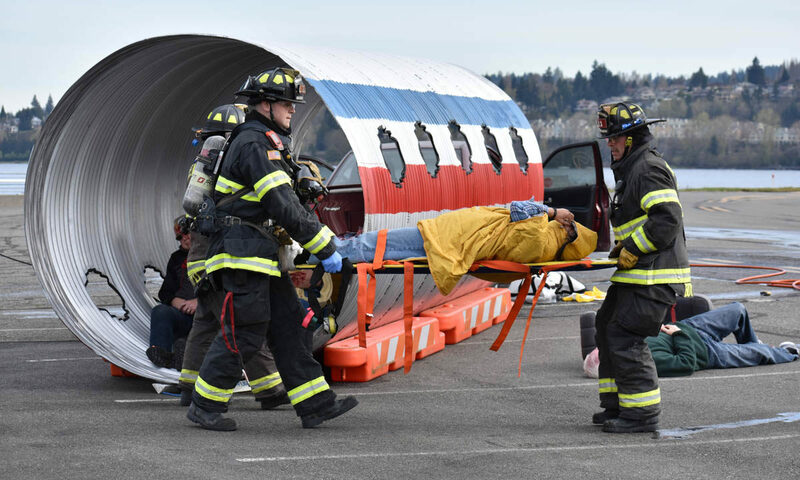 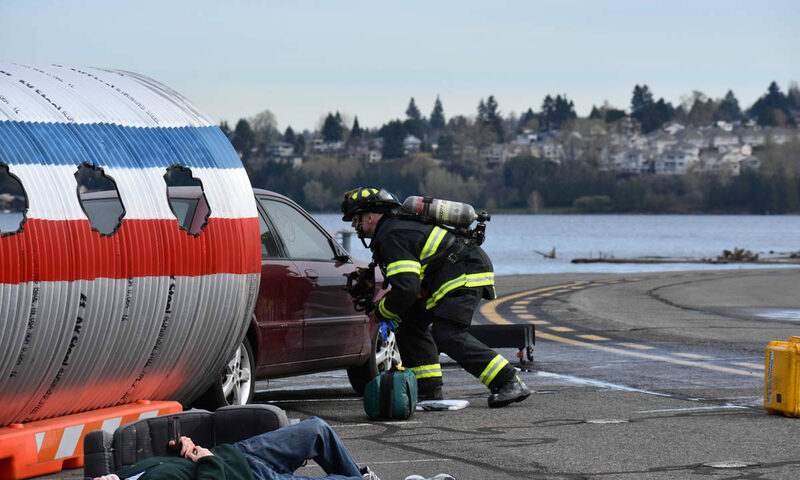 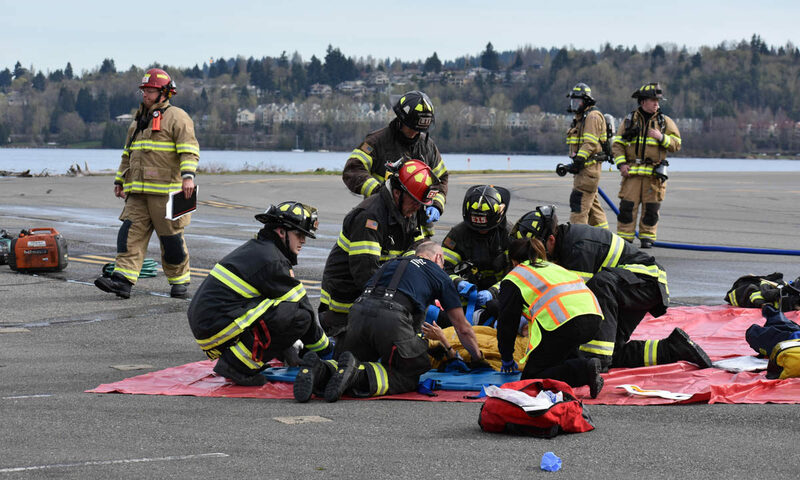 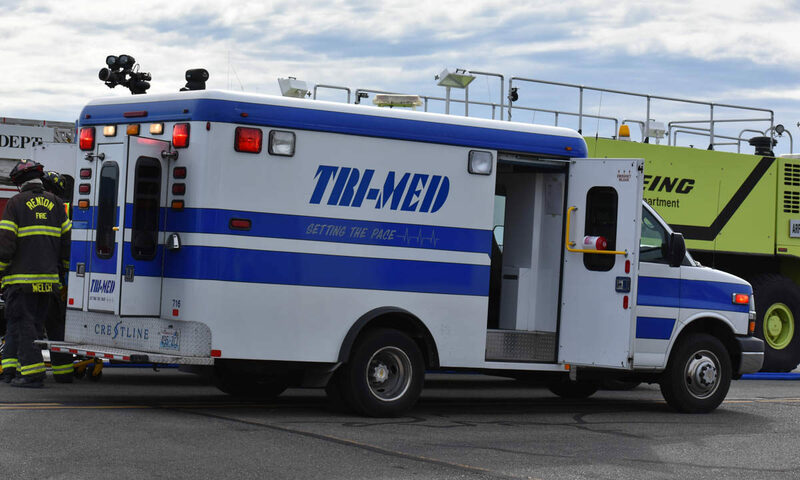 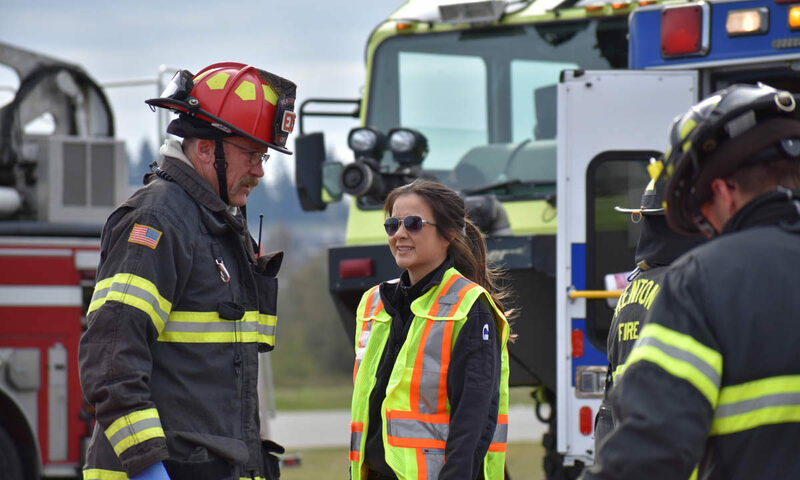 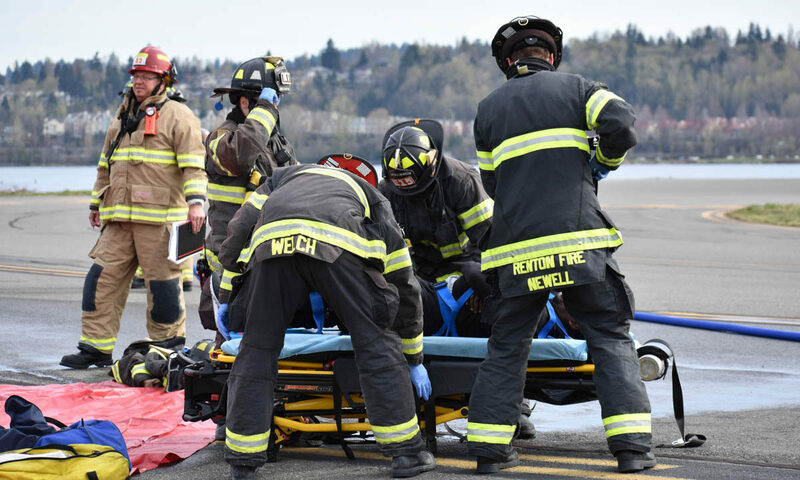 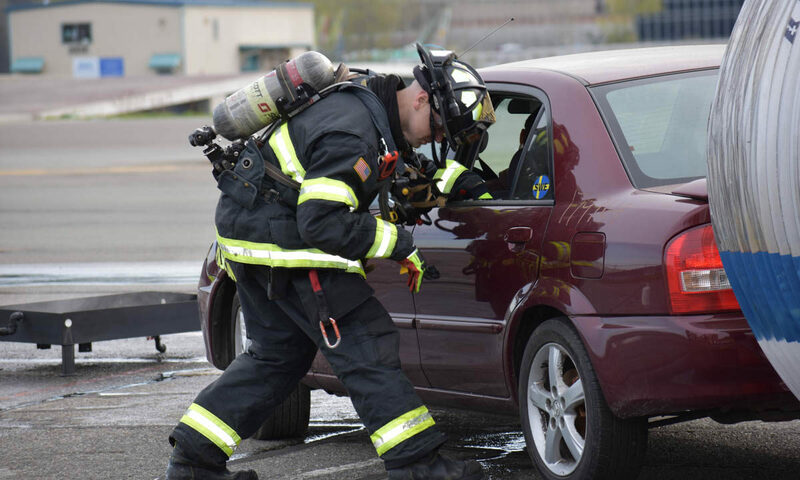 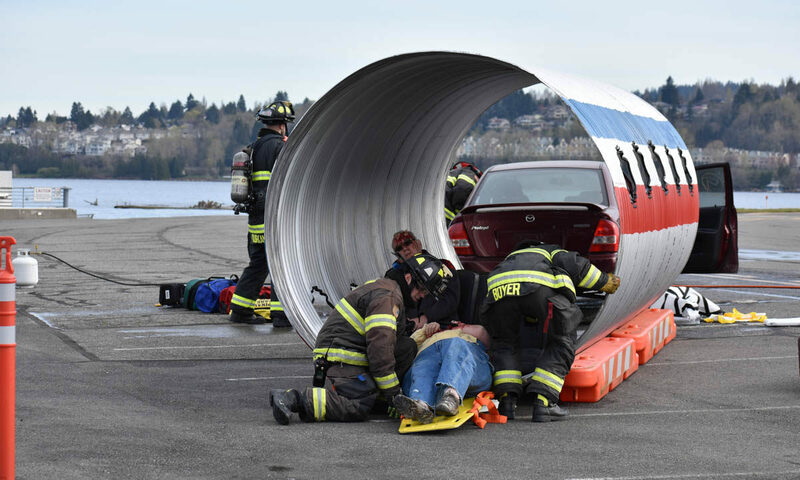 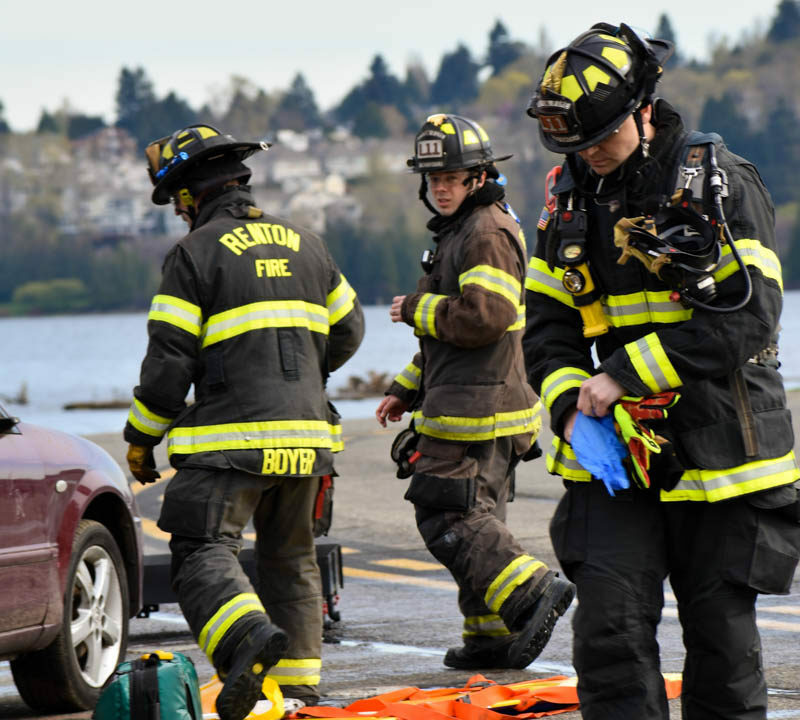 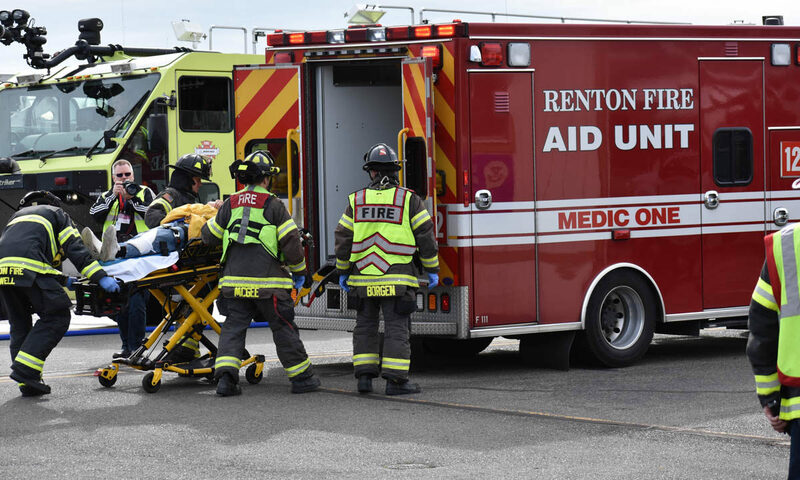 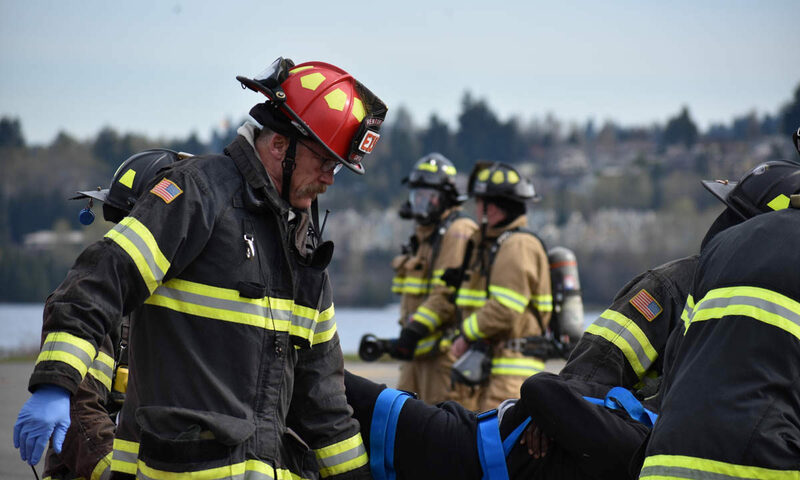 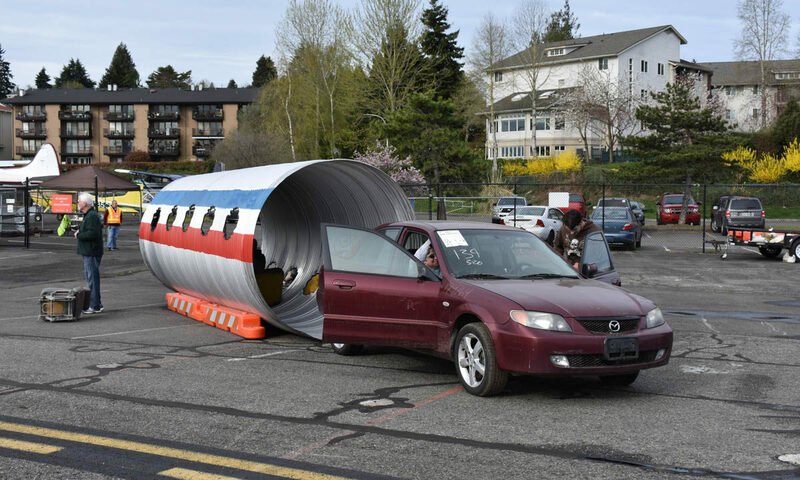 With the help and participation of over a dozen organizations, we are excited to be taking part in a much-anticipated drill at the Renton Airport this week. 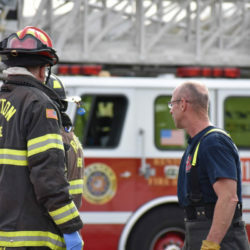 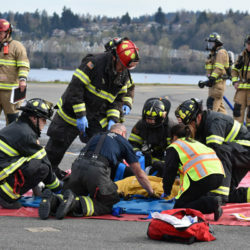 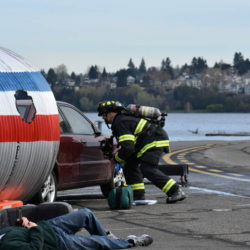 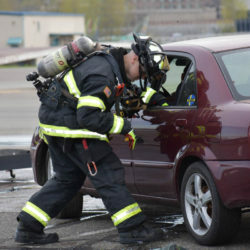 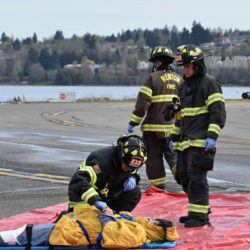 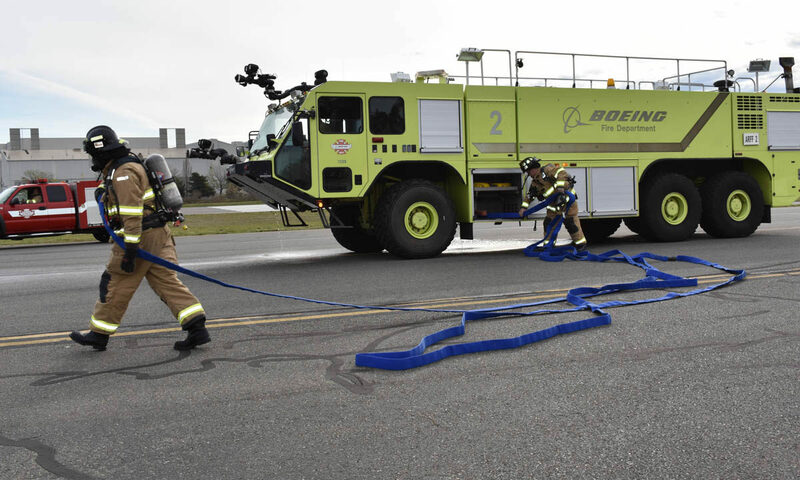 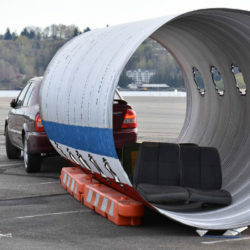 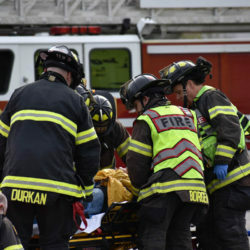 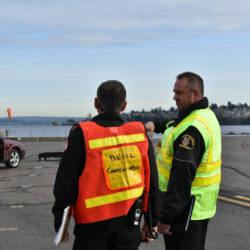 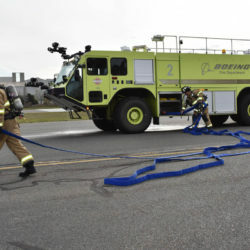 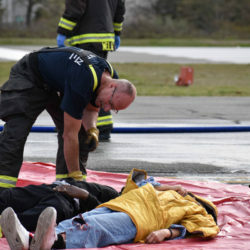 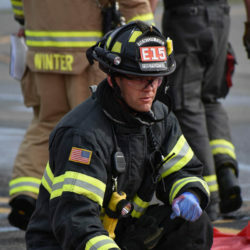 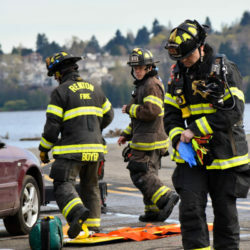 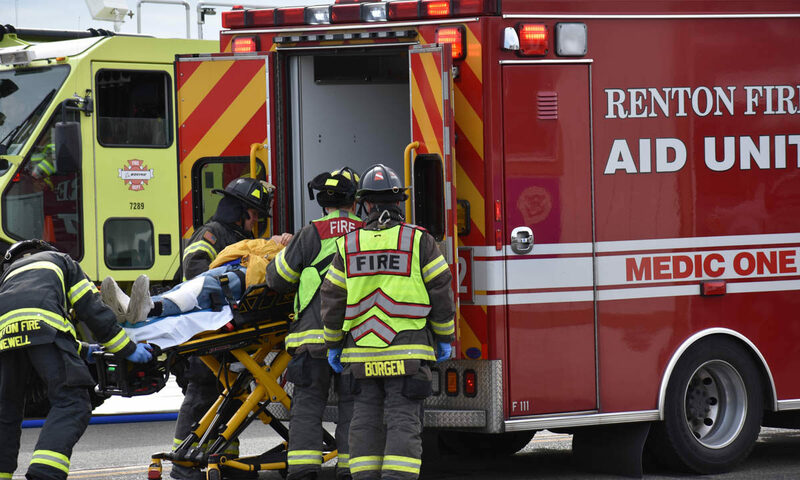 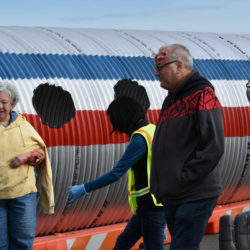 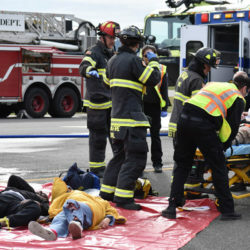 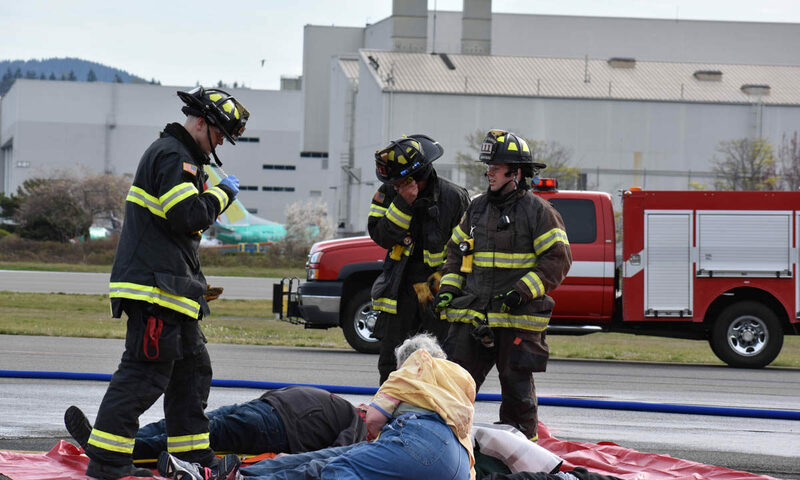 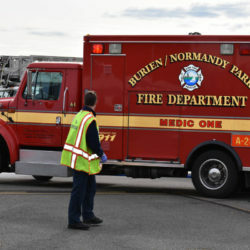 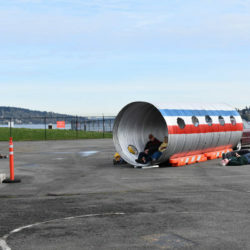 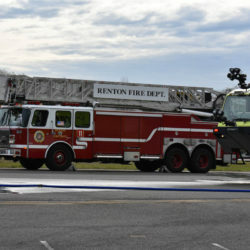 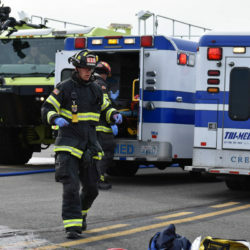 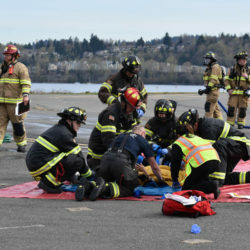 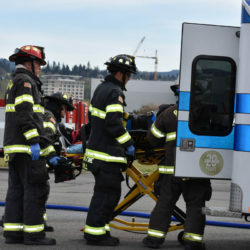 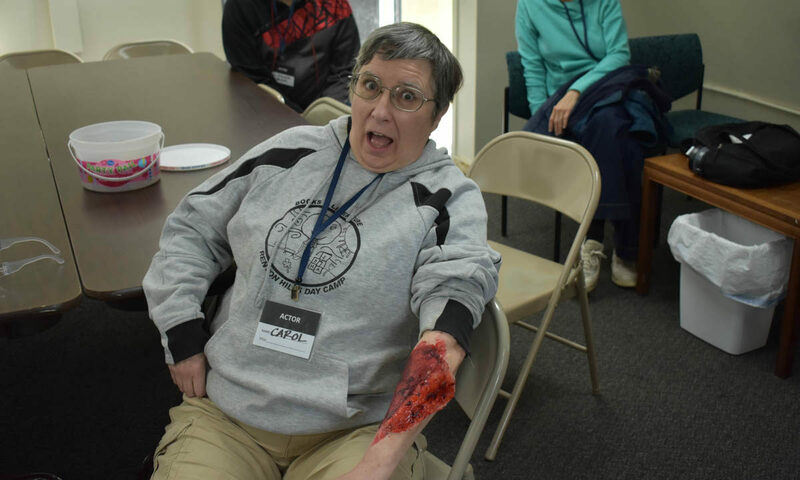 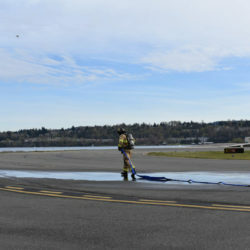 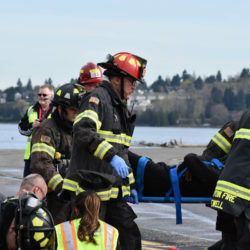 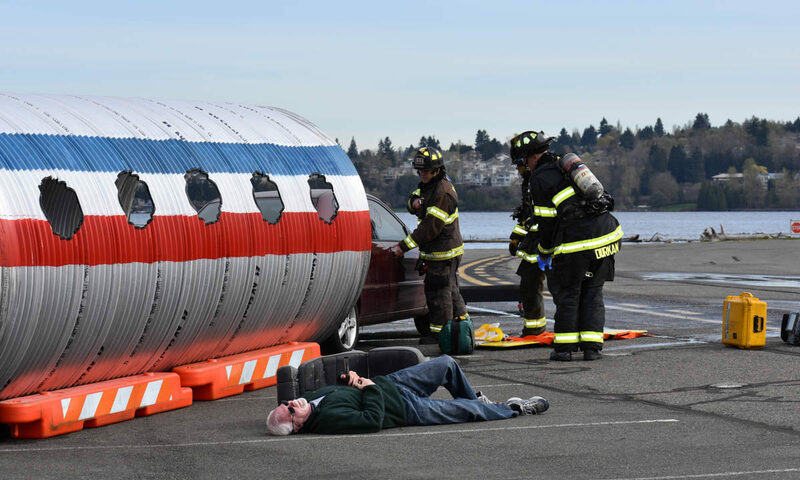 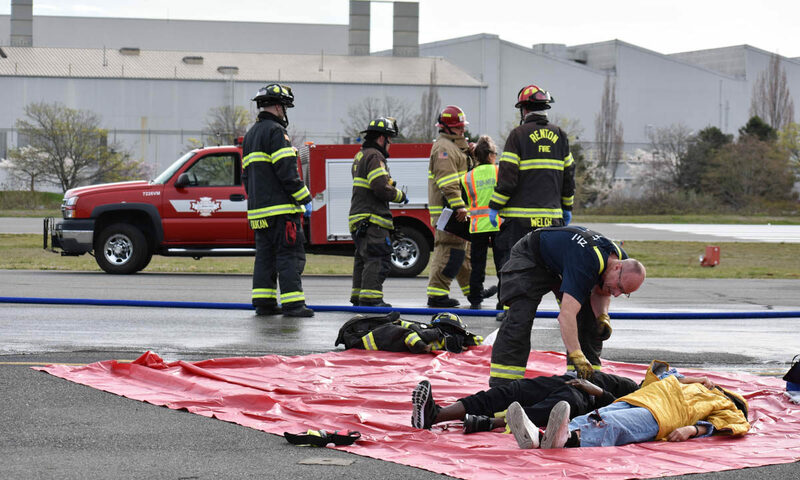 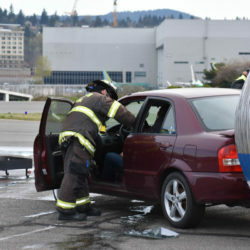 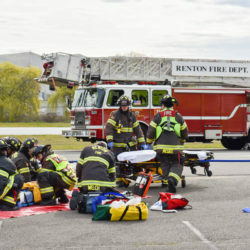 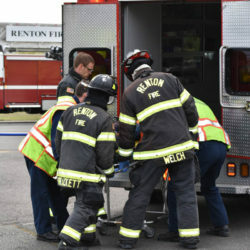 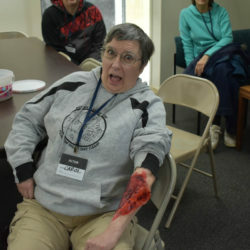 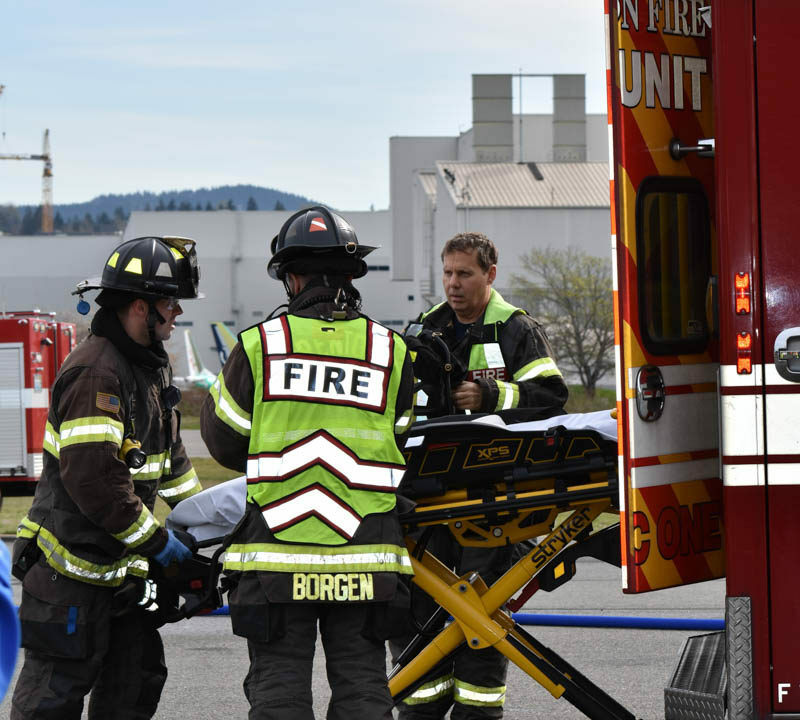 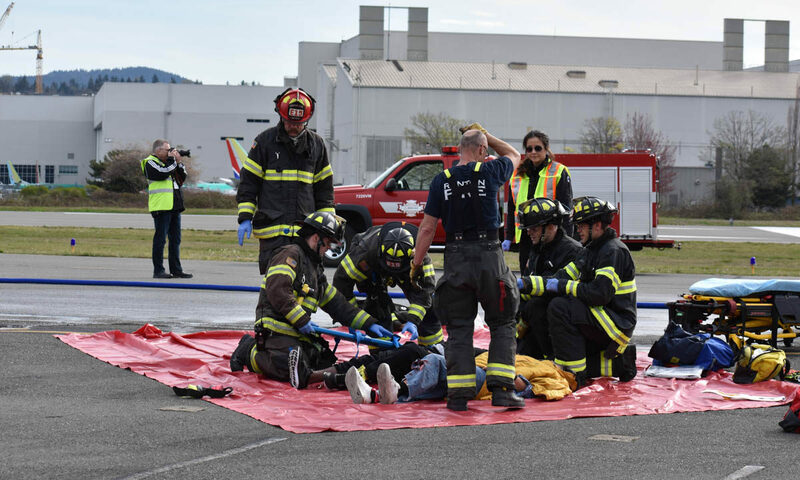 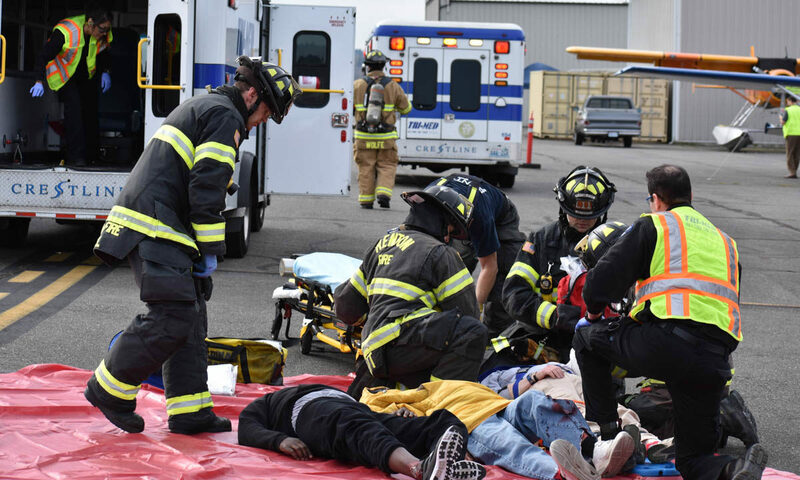 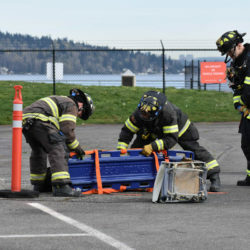 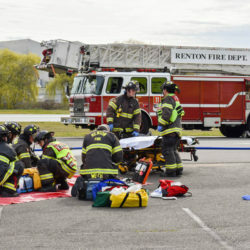 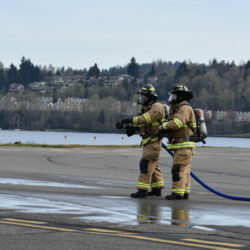 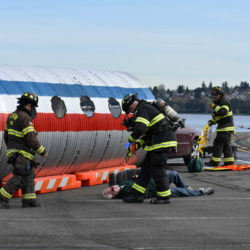 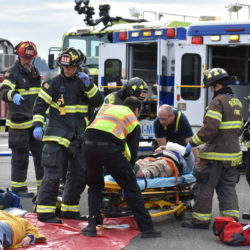 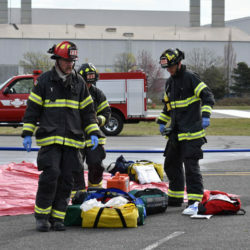 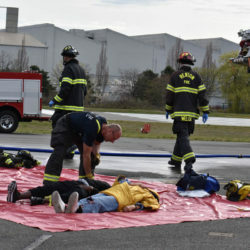 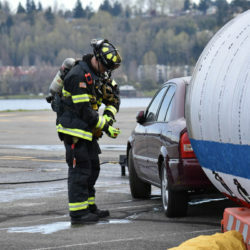 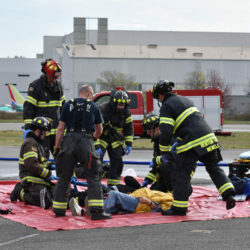 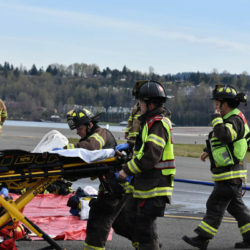 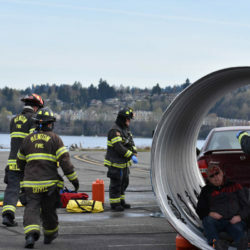 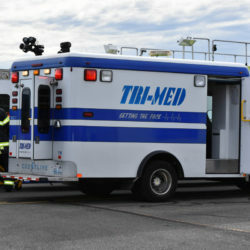 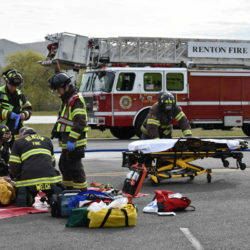 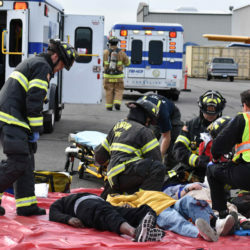 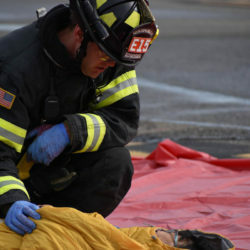 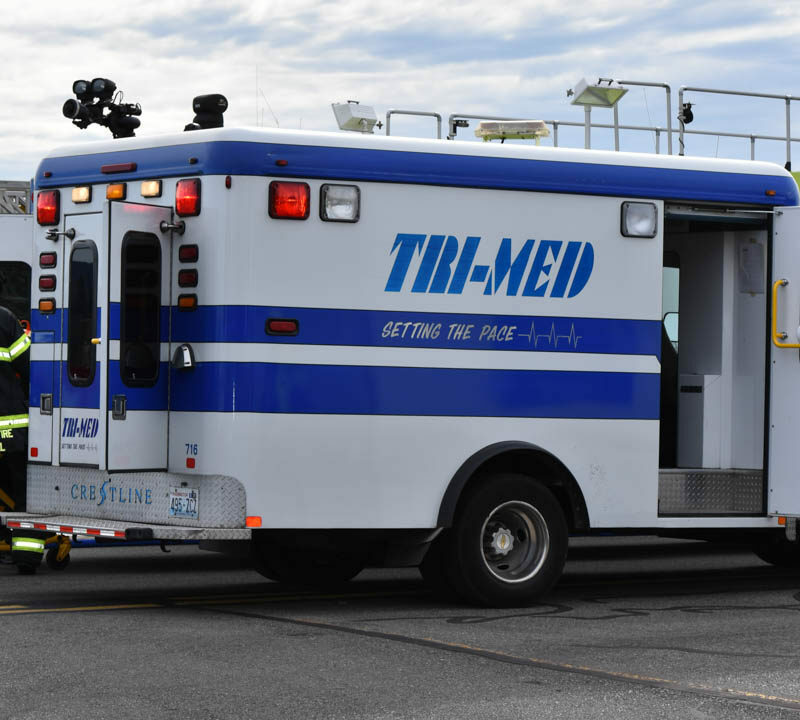 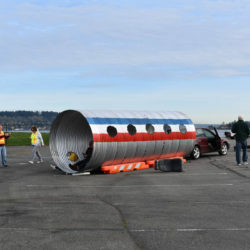 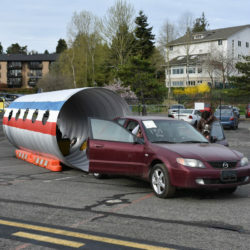 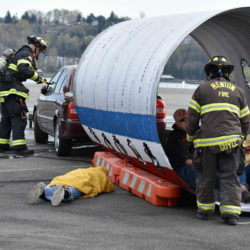 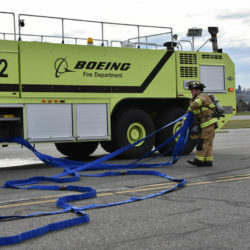 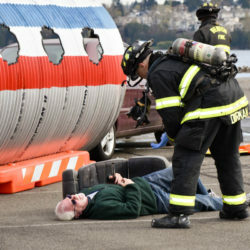 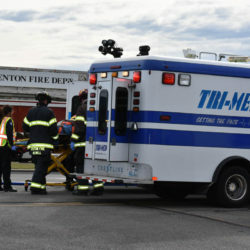 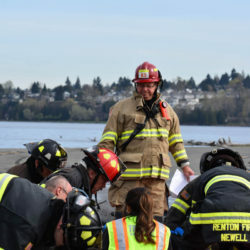 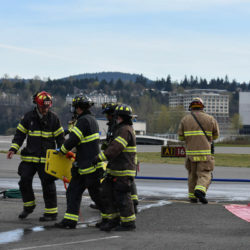 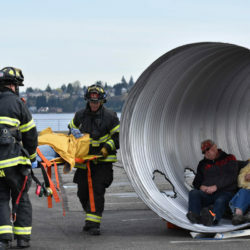 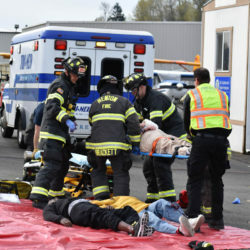 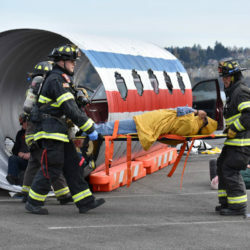 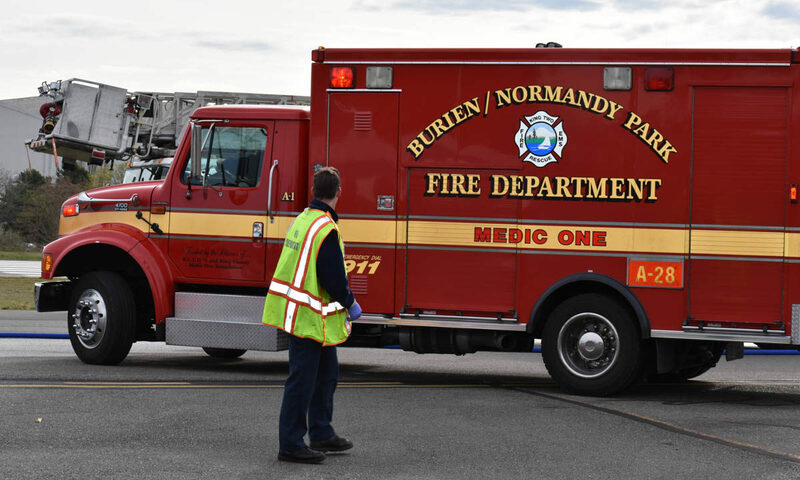 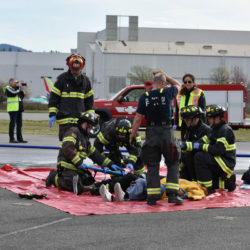 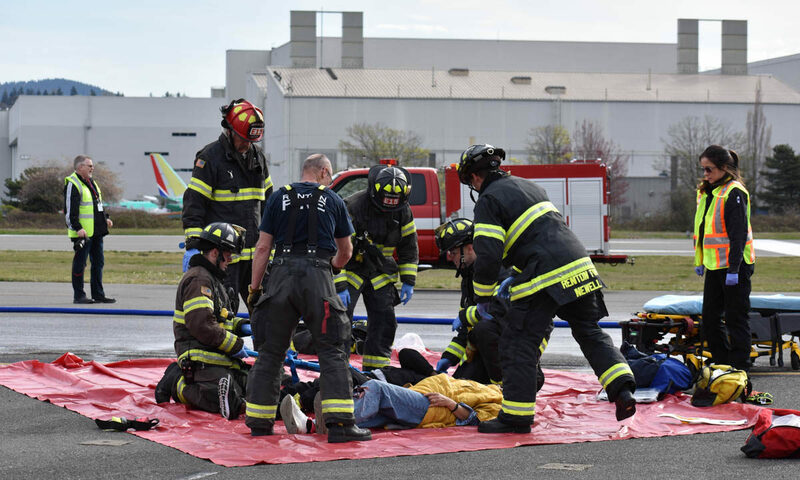 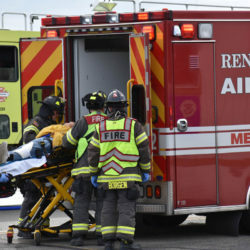 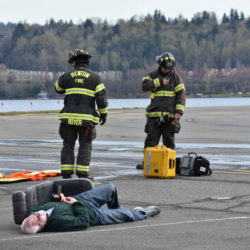 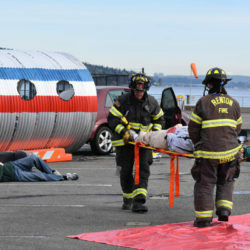 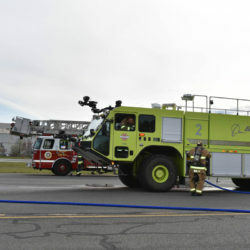 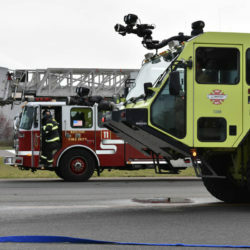 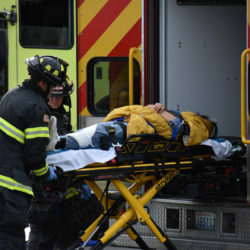 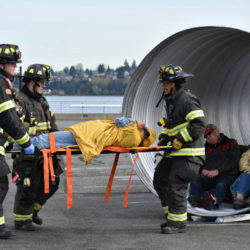 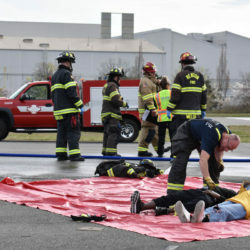 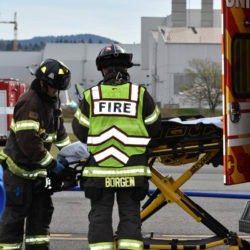 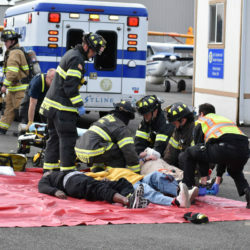 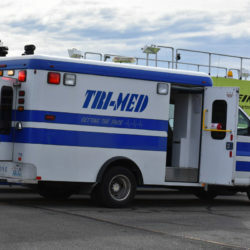 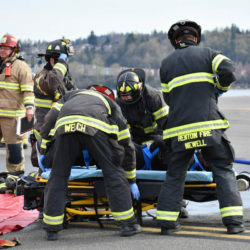 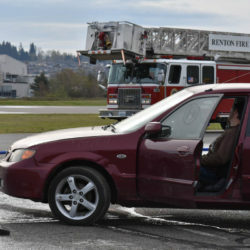 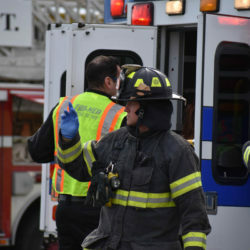 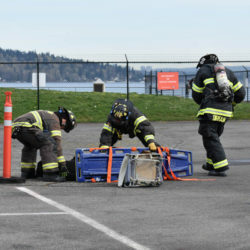 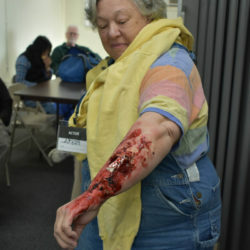 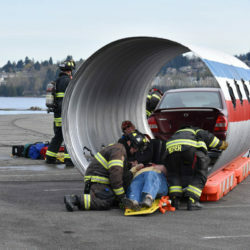 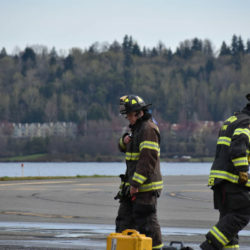 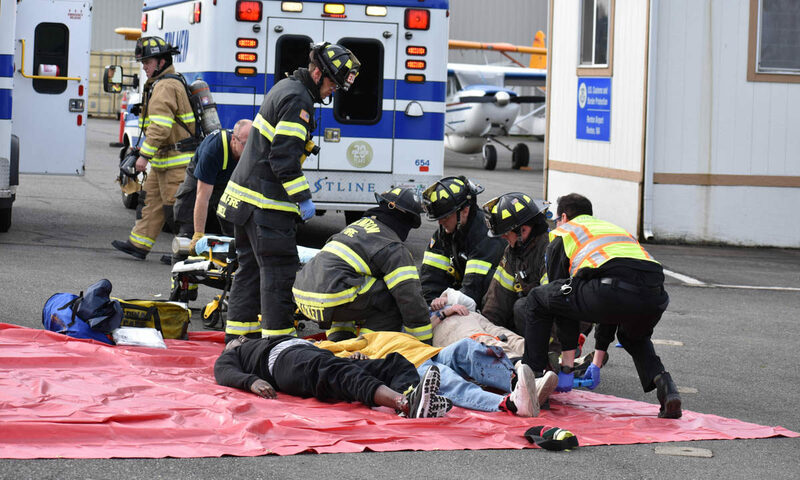 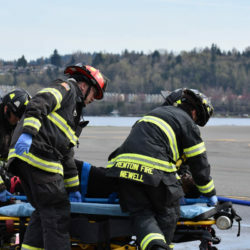 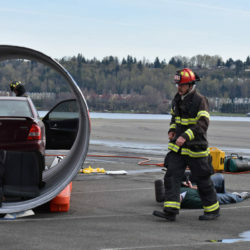 The drill is meant to portray two real-life runway emergencies – one involving a vehicle and an aircraft, the other involving a smaller, cessna style aircraft crash. 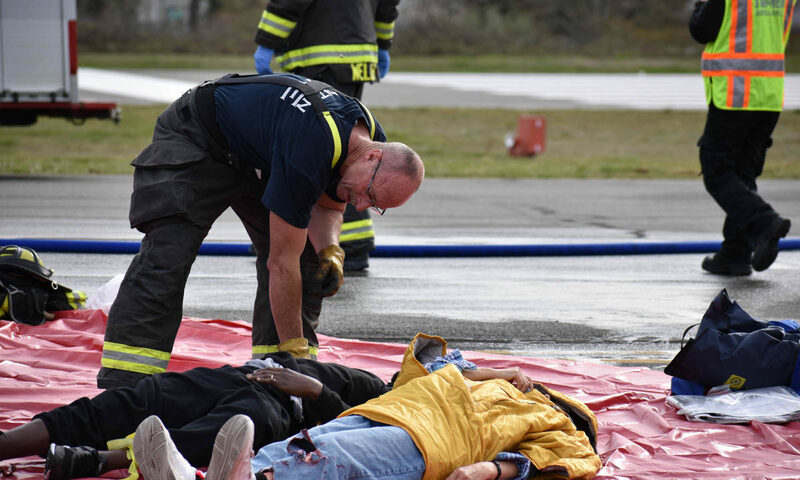 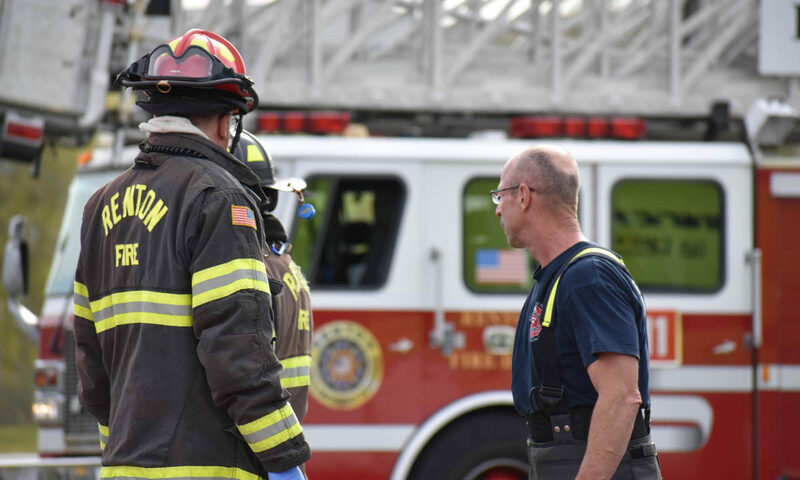 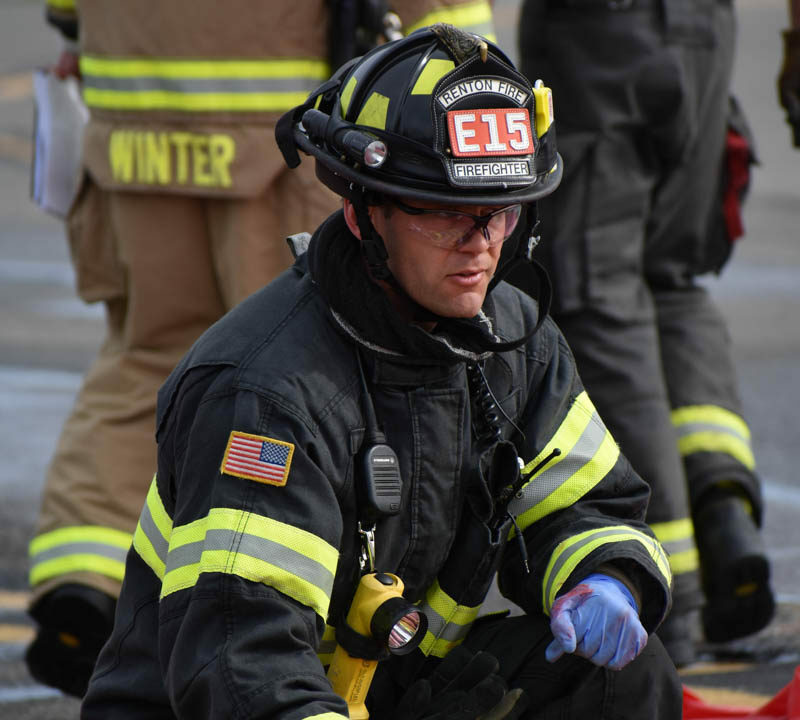 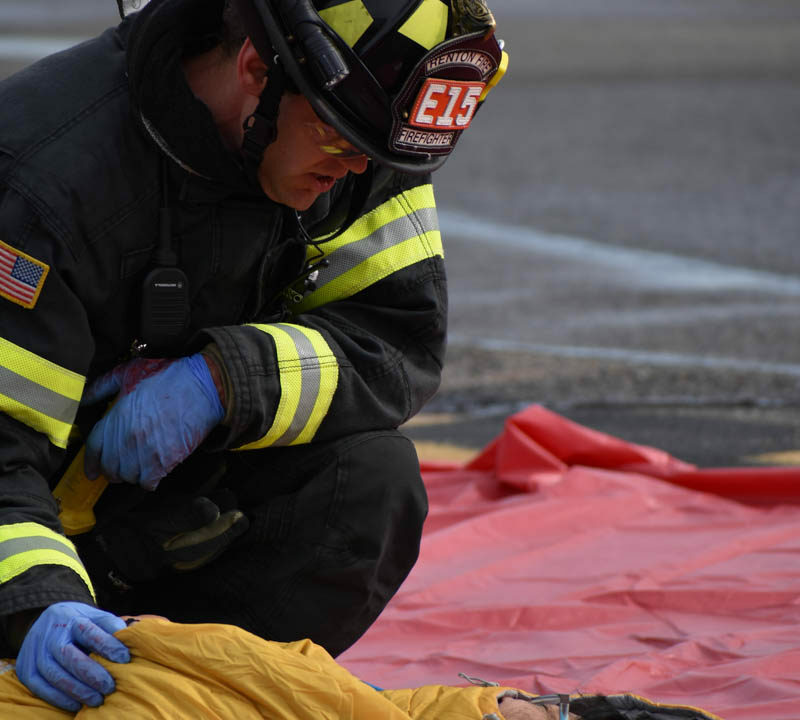 These drills help bring realism to the ongoing training and preparation our crews receive that enables them to act quickly and efficiently in the face of a real emergency. 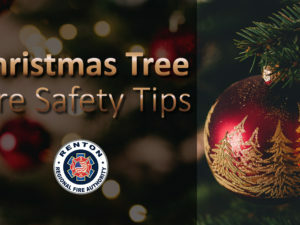 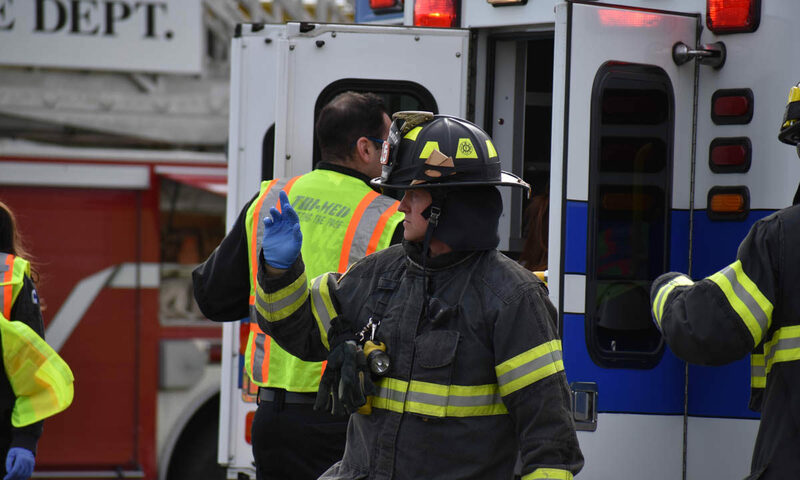 It also allows us to evaluate and fine tune performance to ensure the services we provide in a true emergency are the best possible. 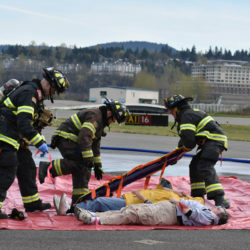 Today marked day one of the three-day drill, happening from April 2 – 4. 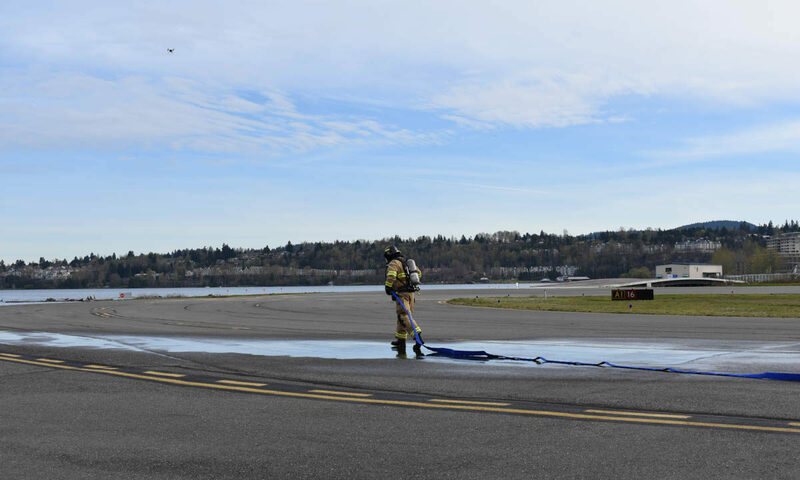 The airport is closed for the drill to ensure both the safety of the public and the safety of all crews involved in the drill. 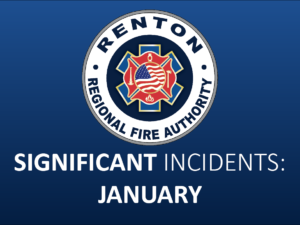 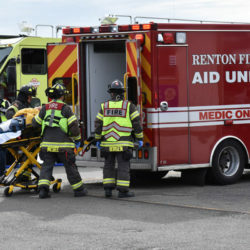 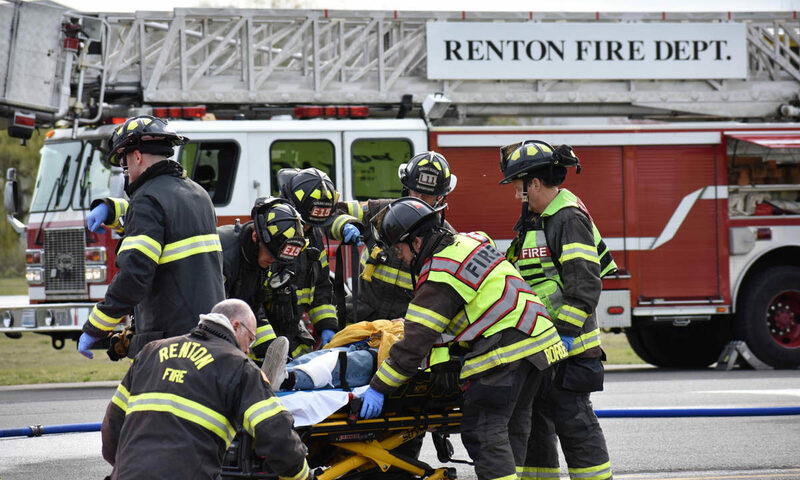 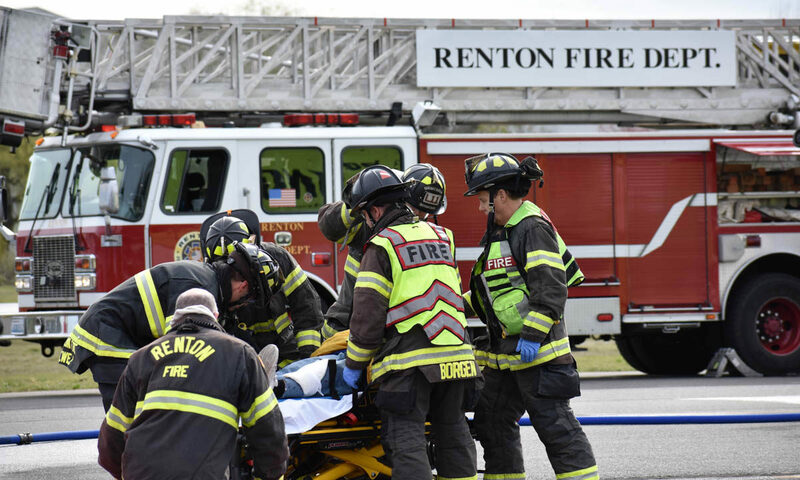 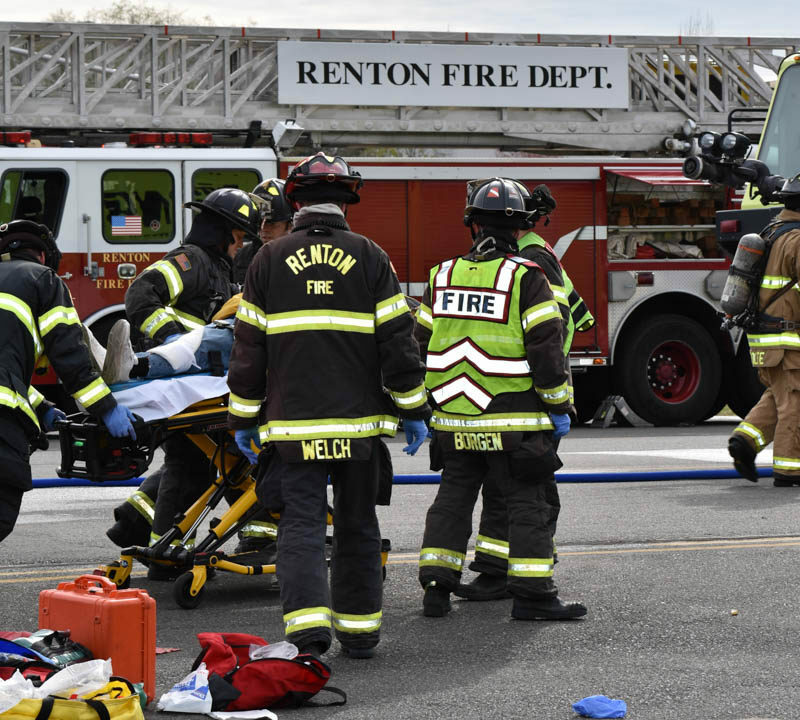 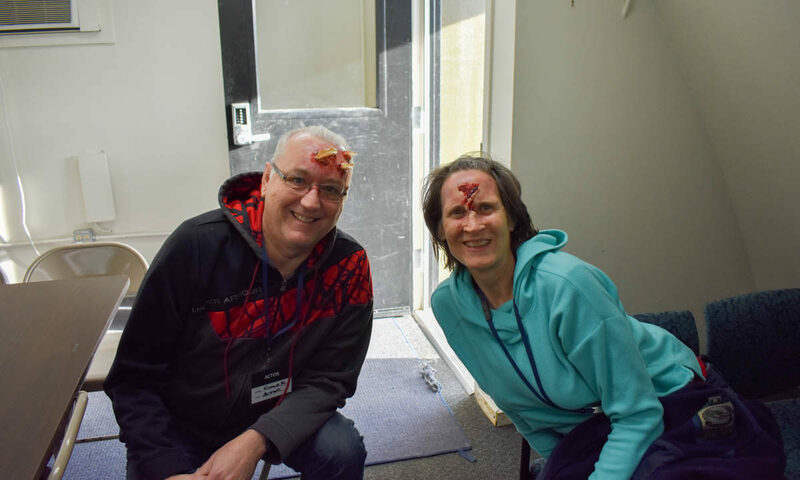 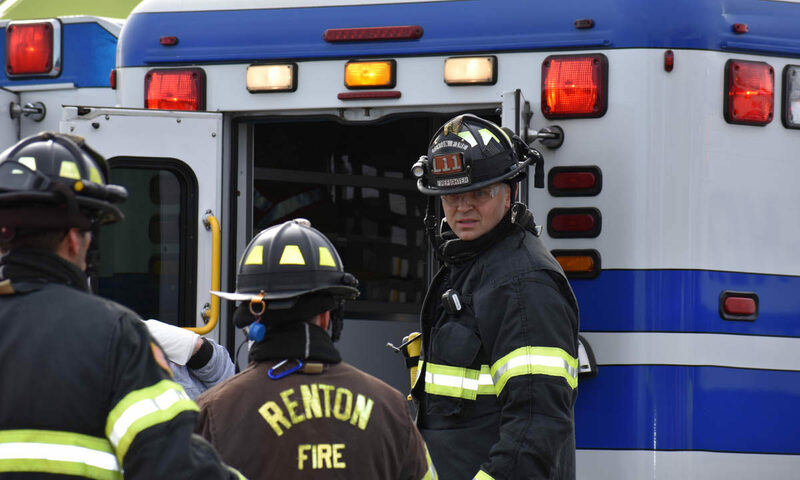 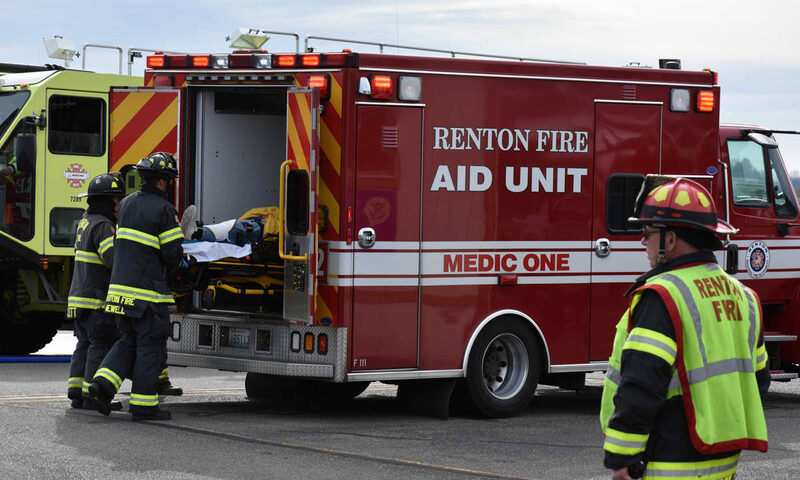 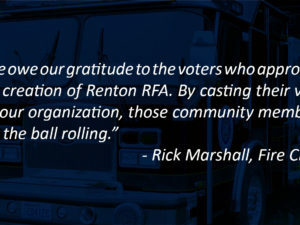 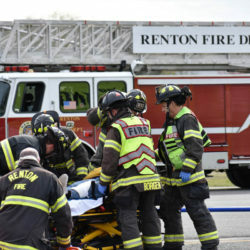 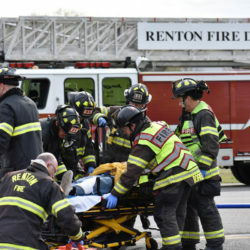 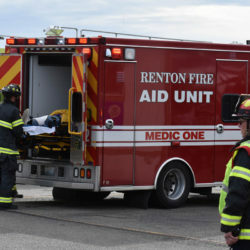 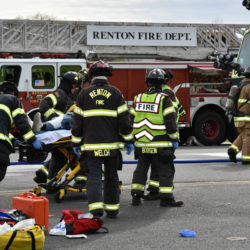 The City of Renton Emergency Management team did an amazing job organizing many aspects of the event and recruiting amazing CERT volunteers to play victims in these two emergencies. 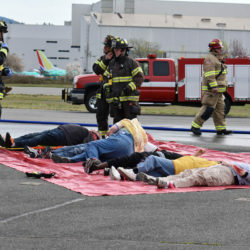 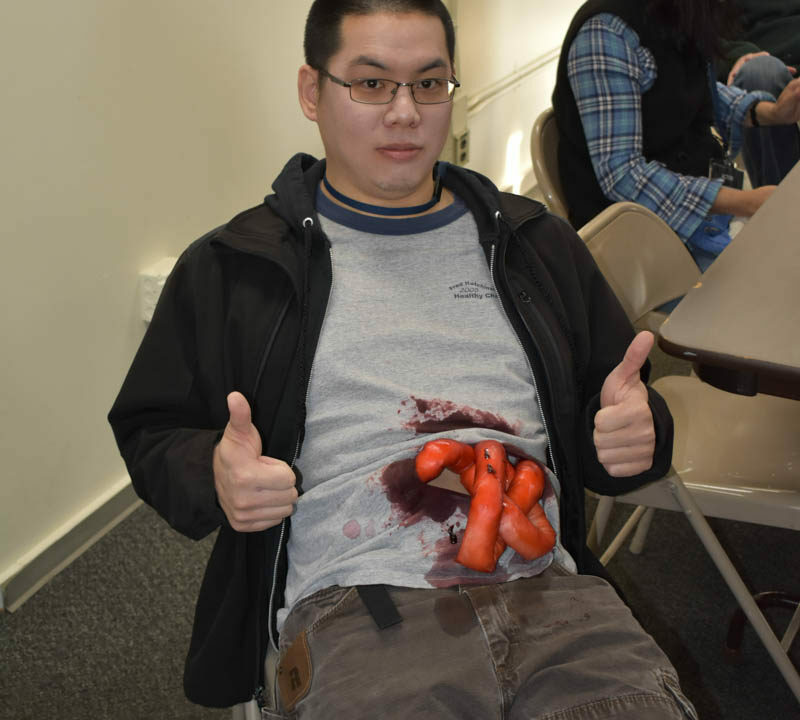 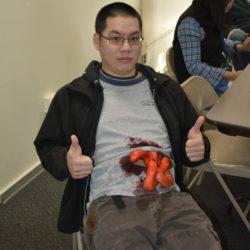 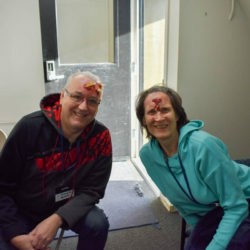 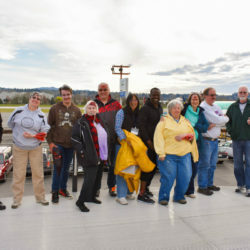 Without these volunteers, this drill would not be possible, and Emergency Management did an excellent job preparing them for the day as well as creating injuries and back stories that help our crews make real, game-time decisions that ultimately prepare them to better save lives in the event of an actual emergency. 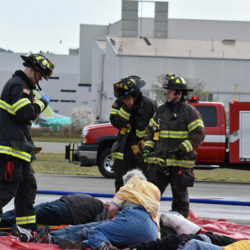 Stay tuned for more pictures and clips from this exciting exercise. 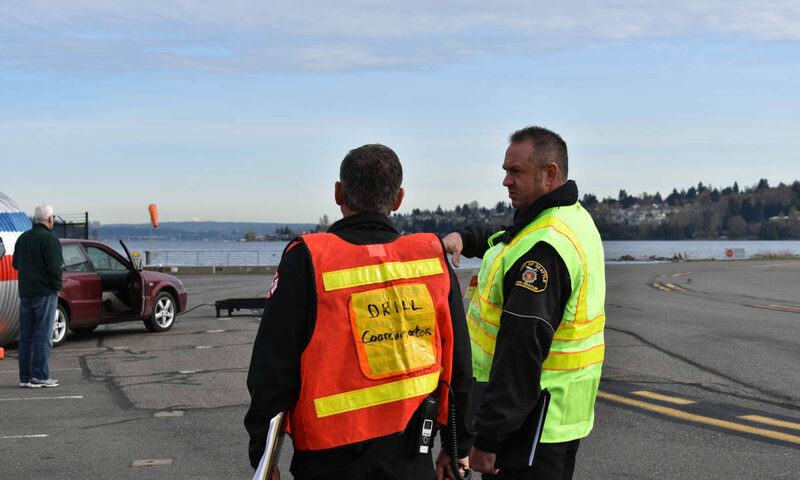 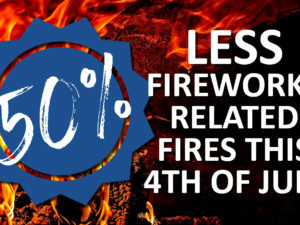 Please keep in mind this is only a drill. 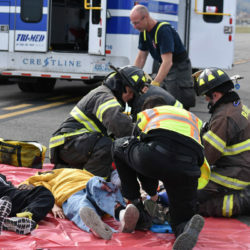 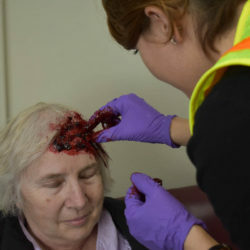 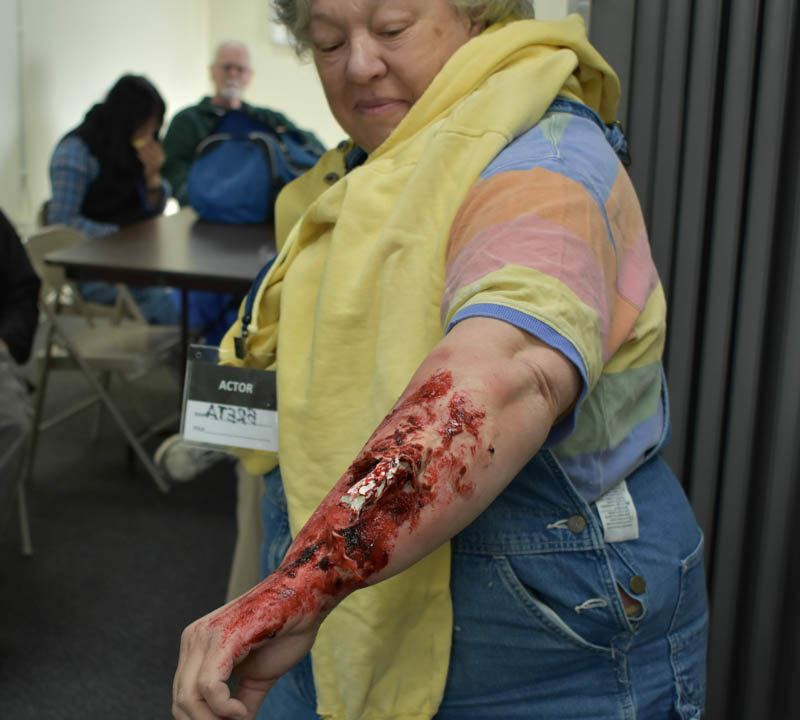 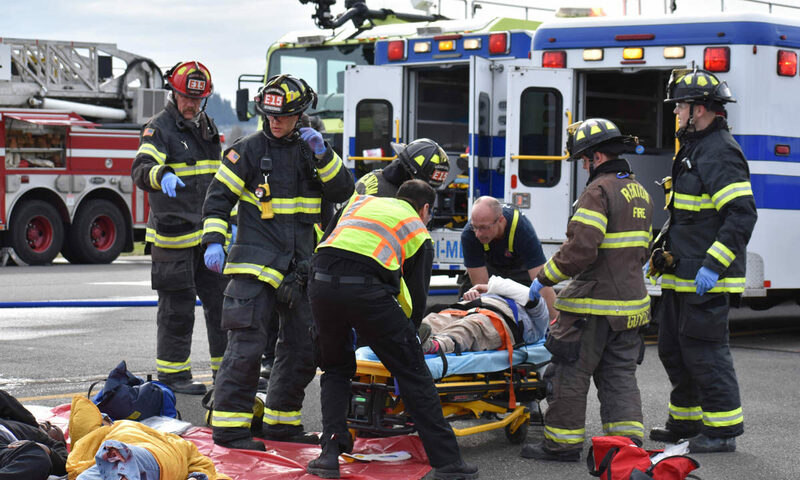 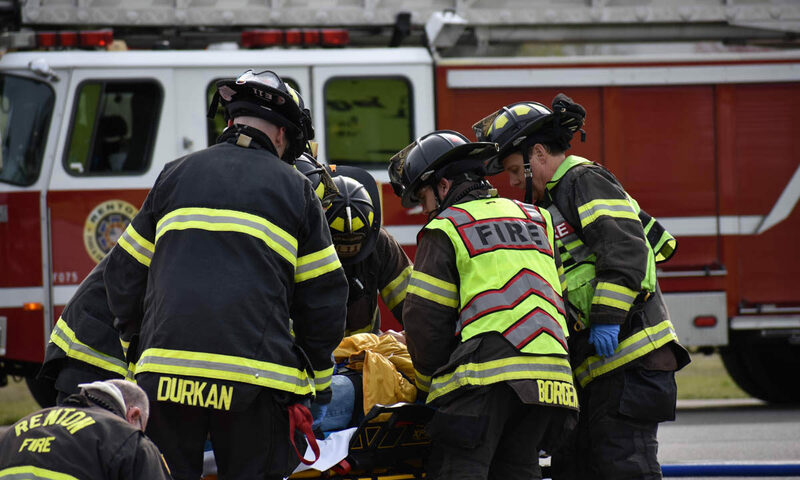 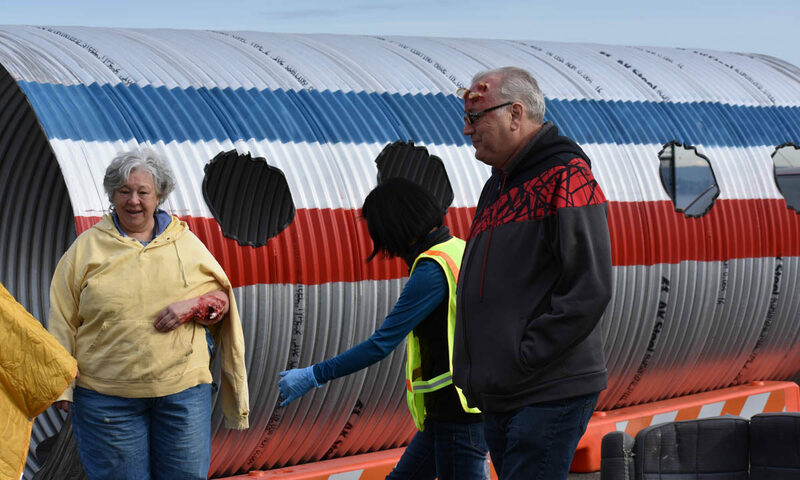 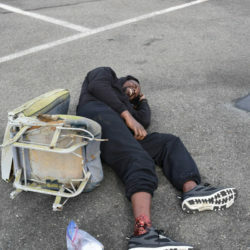 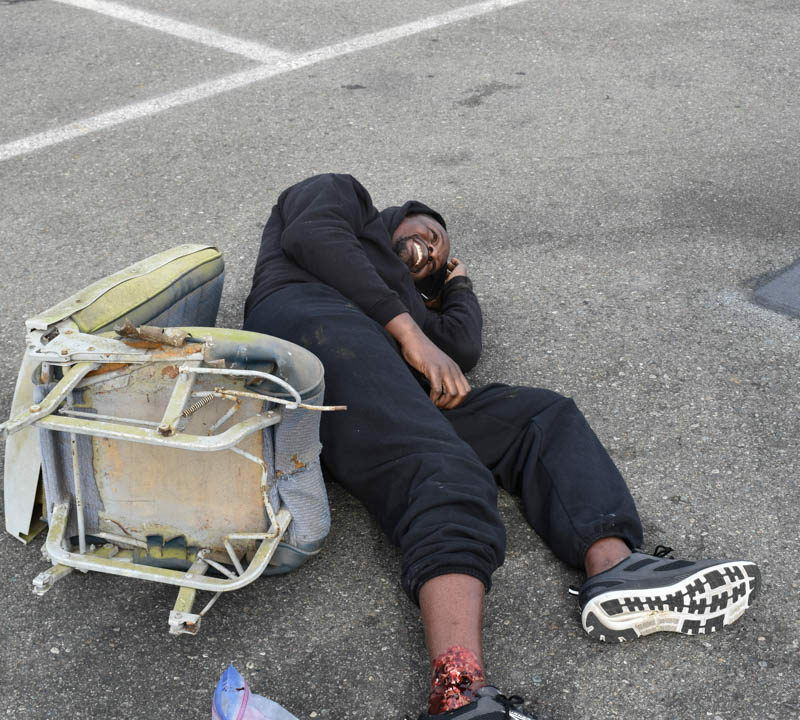 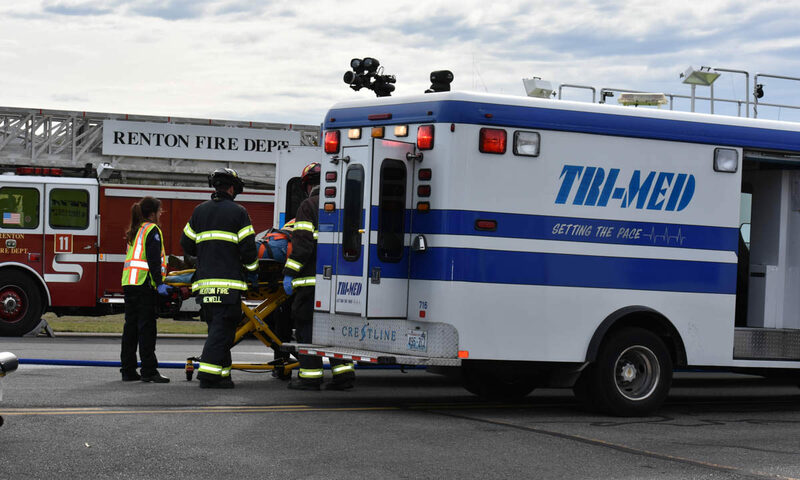 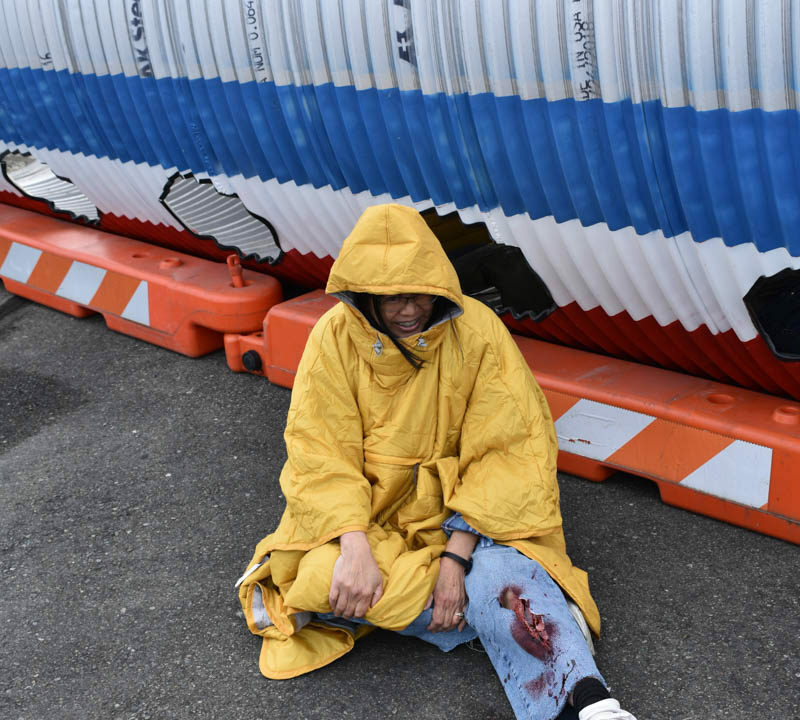 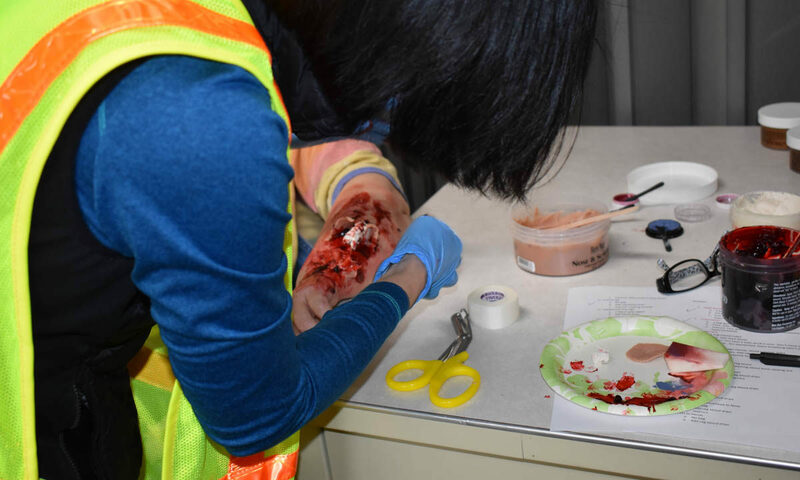 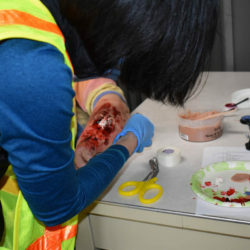 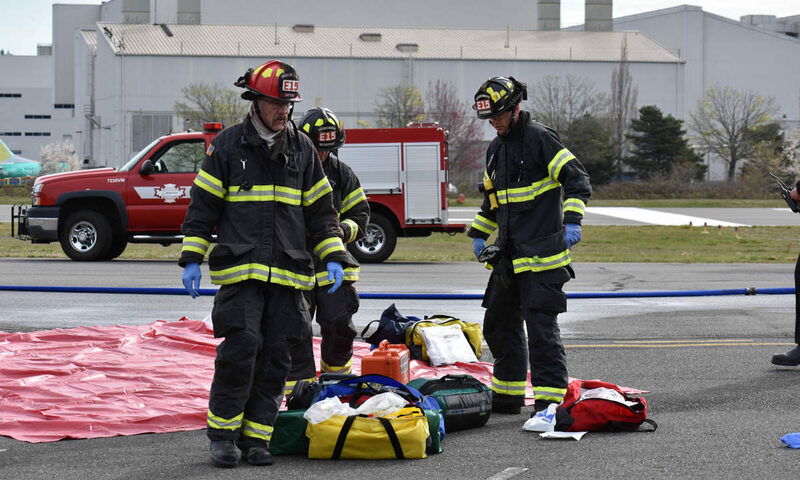 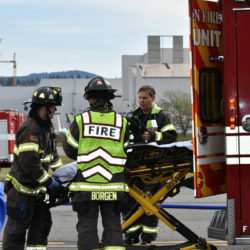 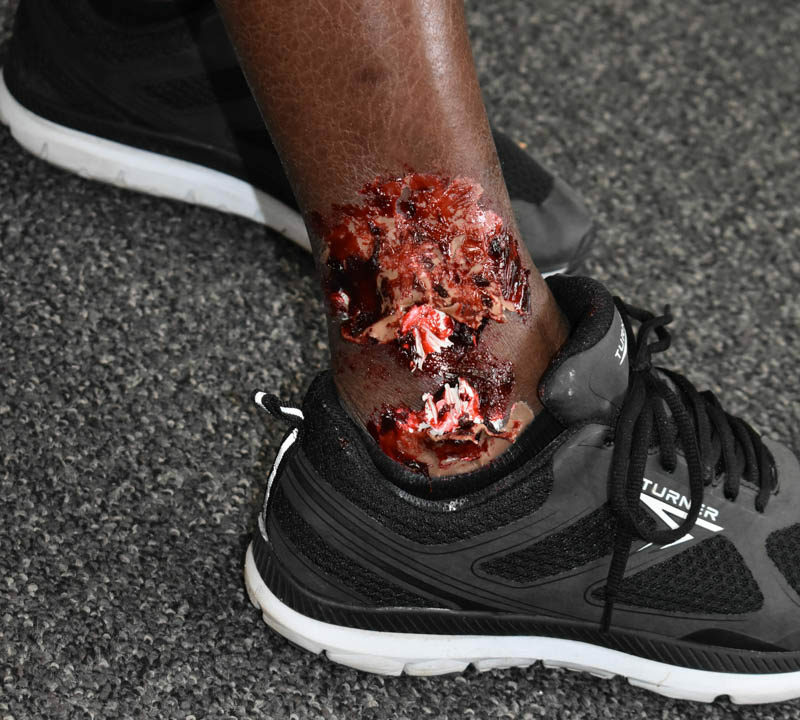 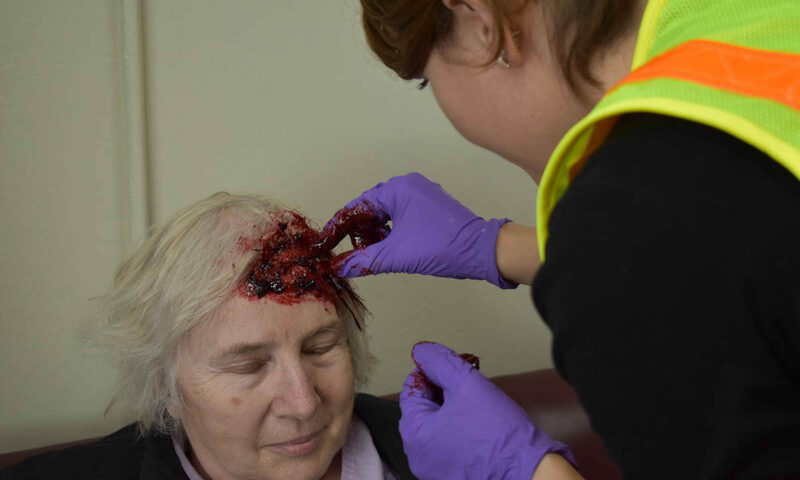 Any incidents of injuries or fire you may see when passing by the airport in the morning on these days is merely an exercise by response crews and volunteer actors. 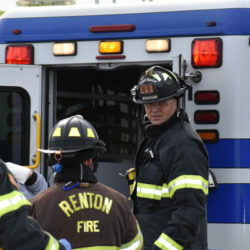 Check out some images from Day 1 below!